My pink house is now green. Green - as in - environmentally friendly. 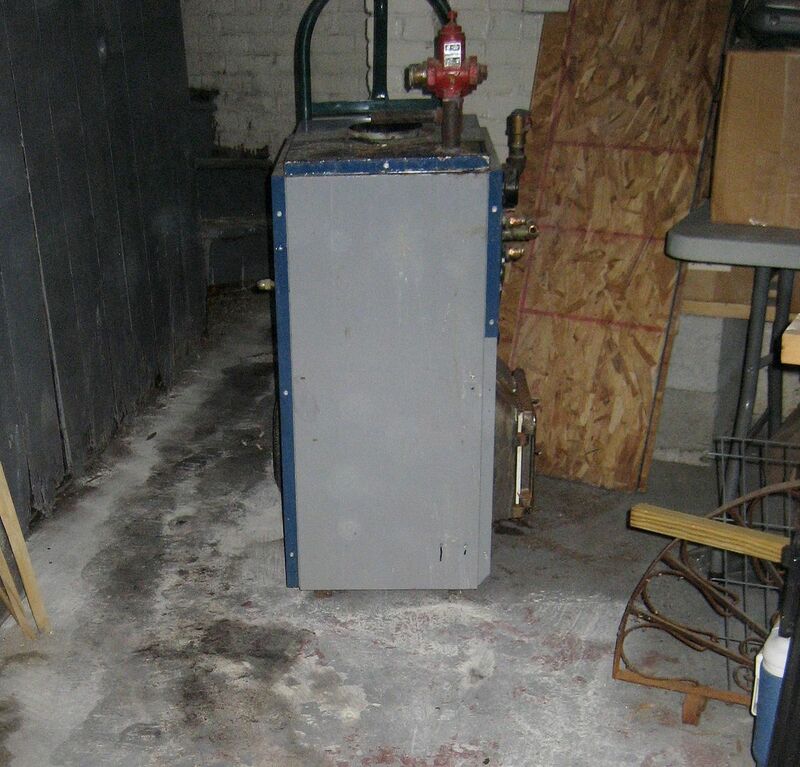 On March 10, 2011, we assassinated our old cast-iron, oil-fired boiler. It wasn’t pretty, but it had to be done. The old behemoth wasn’t really that old. It was born in Utica, New York in early 2002, and was, in fact, a Utica (brand-name) boiler. When we purchased this cold house in March 2007, we were told that the Utica was a higher end boiler, and should provide good service for years to come. It was rated at 200,000 BTUs, which is a lot of heating power for 2,300 square feet. During Winter 2010, oil prices started up (again). In three months’ time, we burned more than $1,600 in fuel oil. In January 2011, when Mr. Oil Fill-Man appeared in my back yard (a scant 27 days after his last visit), I ran outside to chat with him. This told me that my neighbors were apoplectic over their heating bills, as well. 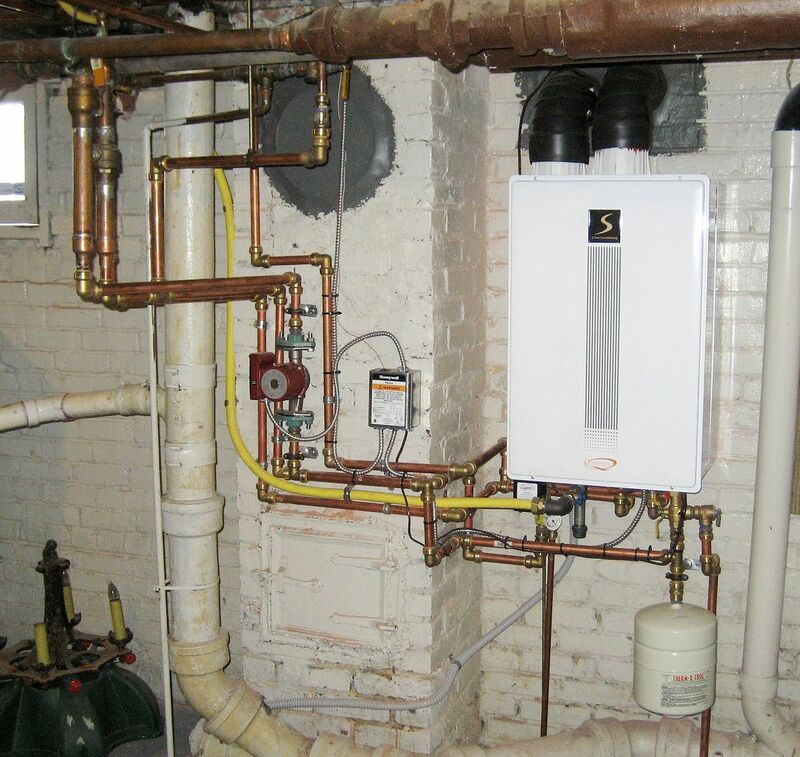 Talking with two of my neighbors, I’d found that they’d converted from old oil boilers (about the same age as mine), to high-efficiency tankless gas-fired boilers. Both neighbors told me that their heating bills had dropped from $500 - $600 a month to about $125 - $150 a month. Both were delighted with the new system and the new savings. 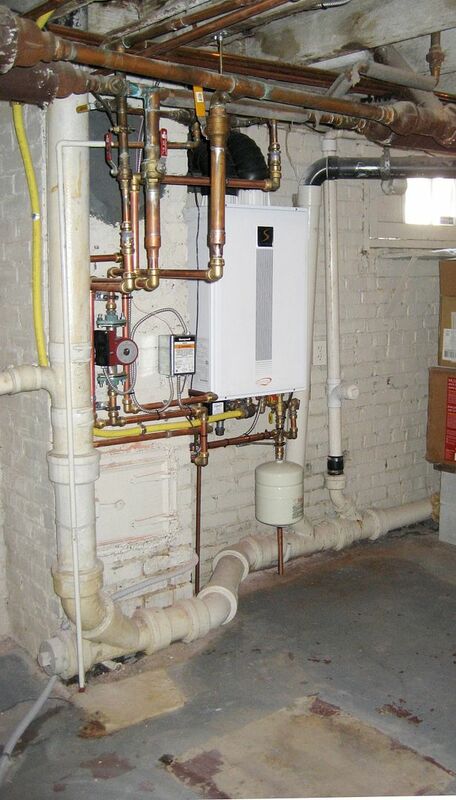 I was not that surprised to hear that these two neighbors also removed their fairly young oil-fired boilers and replaced them with this fancy new system. 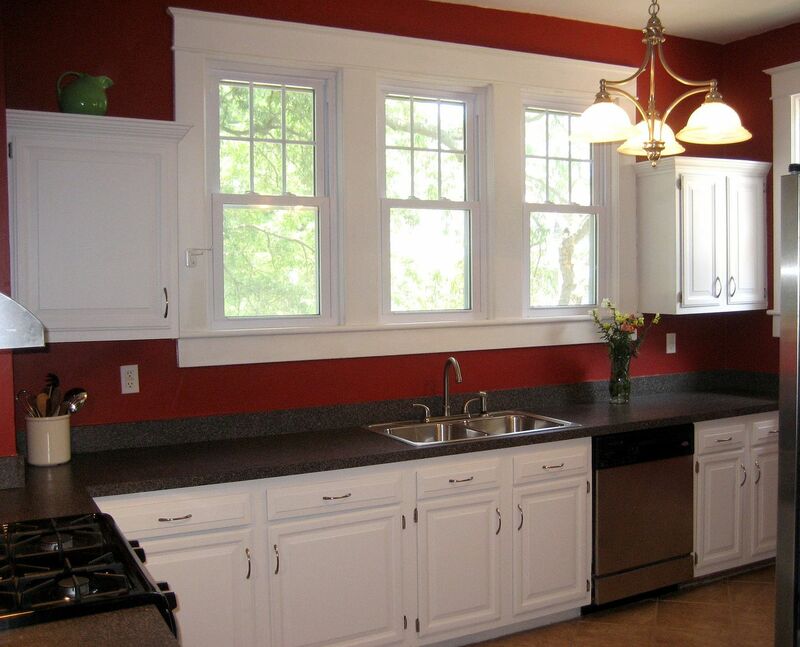 Since purchasing the house in March 2007, we’d added several high-dollar storm doors, plus several ultra-high efficiency replacement windows (on the rear and side), and we’d repaired and re-caulked existing storm windows on the remaining windows. We’d also used up 40 tubes of caulk (yes, 40), closing up every little crack and crevice. 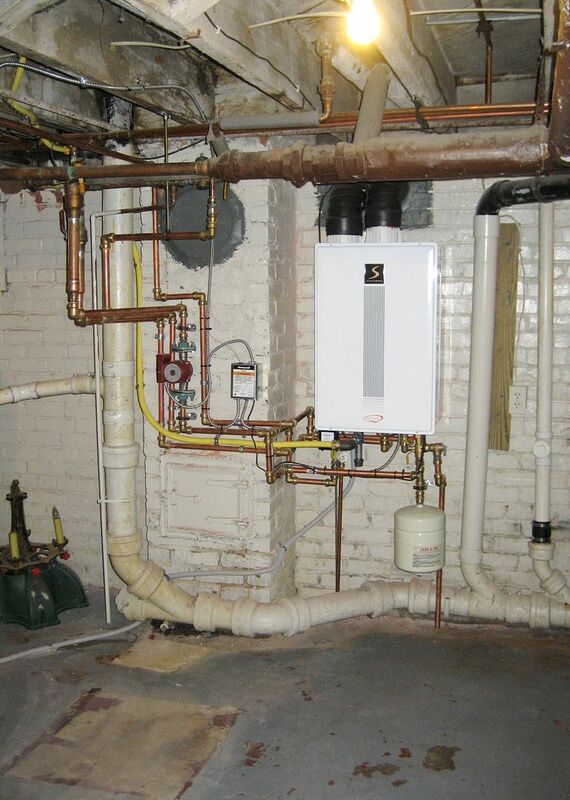 When it was time to get estimates for the new work, I had many choices, but the big two were: Gas-fired boiler or Heat Pump? Unfortunately, we learned that adding new ductwork for the first floor would have made our basement well-nigh unusable. The other factor was, I love my radiators. They’re old and funky and they rattle and pop in the winter. 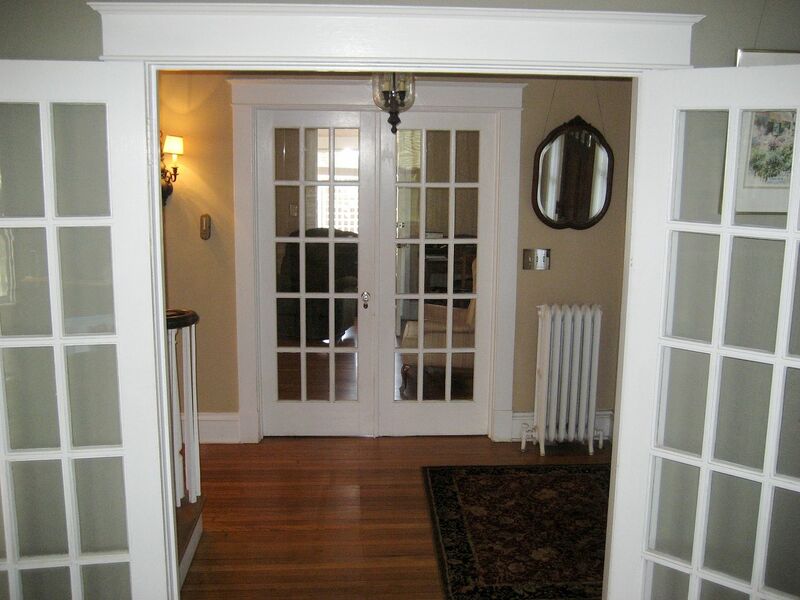 I was not ready to abandon the old charm of the 1920s cast-iron radiators. Plus, it’s true what they say: Radiant heat is the most comfortable, even heating in the world. So that left us with one more set of choices: Cheap it out with a regular, average efficiency gas-fired boiler, or go ahead and spend the extra dough and go with a high-efficiency (90%+) unit. The lower end gas boilers were $3,000 and up (for 80% efficiency), but required that we install a new liner in the old brick chimney. That’d add another $2000 to our costs, so we were at $5000. 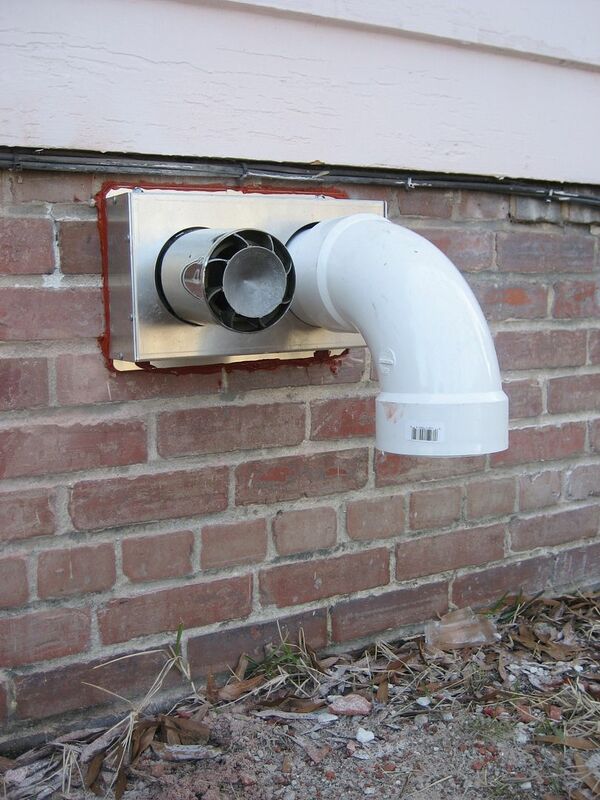 For $7,500, we could get a super-high efficiency gas-fired boiler, rated at 94% efficient, which used a pvc snorkel. That would enable us to abandon the old chimney, and get our heating bills down under $200 a month. And, we’d get a $500 rebate from our local gas company, making the price difference between the two options a scant $2,000 (or the cost of 100 days of fuel oil). We opted for the high efficiency tankless gas-fired unit. Several things went wrong along the way. The high-efficiency gas boiler was ordered, but didn’t arrive. That’s okay, we were told, they’d upgrade us to a better system, no extra cost. Sounded good. Oopsie, more trouble. The better system had a lag time too, so we’d have to wait three weeks for unit to arrive. But then, the company had located the unit we’d contracted for and we went forward with the installation. Next, Virginia Natural Gas drove us nuts. They would not set a meter for us until the boiler was in place. That’s funny, because the contractor didn’t want to set up the new boiler until we had a meter in place. In the end, Virginia Natural Gas won. No meter would be installed until the boiler was in place and complete. Dealing with VNG was an enormous hassle. For a time, I really missed dealing with Miller Oil. They were so friendly and accommodating. Once the boiler work was mostly done (and we knew it would soon be ready to be turned on), we called Virginia Natural Gas for the 3,492nd time. It was a Thursday afternoon. “The next available date on our calendar is Friday afternoon,” the operator told me. Friday, as in eight days away. We’d already been two days with no heat or hot water. We were already greasy and cold. A bad combination. After I made a few screeching noises, she moved the date up to Saturday, between 9:00 am and 4:00 pm. Friday evening, we got an automated call from Virginia Natural Gas. It said that our meter would be set on Saturday morning, between 1:15 am and 1:15 am, and to make sure someone would be home at that time. Watching television in our living room, wrapped up in blankets, we listened to the voice mail and laughed out loud through chattering teeth. Saturday morning, my optimistic husband got up and went outside to check for the meter. “They didn’t come at 1:15 am,” he said with a bit of disappointment. I fell on my knees and begged. From my close-to-the-ground position, I hugged his legs and told him that we were making mortgage payments on a cave, and that I’d lost feeling in my fingers the day before, and could he please, please, please give us a little heat? Surreptitiously, I rubbed my greasy hair against his pants leg. He scrunched up his face, groaned and took a step back. Moved by my impassioned pleas, he forced the modernistic, bright yellow piping this way and that, and managed to get the gas meter set in place. Virginia Natural Gas had told us that Mr. Meterman would fire up our appliances. Mr. Meterman said he was not permitted to fire up our appliances. Fortunately, Mr. Brandy-New Boiler sprang right to life when turned on, and for the first time in 72 hours, we had hot water again. Monday morning, the contractor re-appeared and got the boiler going, and Monday afternoon, our radiators were once again filled with hot water, making their trademark snap, crackle and pop noises. My house is warm again. And it’s a good, comfortable warmth. And best of all, it’s a high efficiency warmth. This is the only picture I have of the old oil burner. I'd intended to snap a few before photos when the work started, but was so stressed out by all the upset of my house being torn up (again), that I thought, "ah, forget it." This photo was taken in March 2007 when we first looked at the house. The poor old Utica, as it's being hauled off for scrap. Notice the heavy cast-iron boiler on the front. Workers estimated this rig weighed about 400 pounds. A view of the new equipment (and our old basement). This photo shows the complexity of all those pipes. Lot of stuff going on there! And outside, it looks like this. The white PVC pipe is an air intake for combustion. The silver is for exhaust. The red area around the border is where my house is bleeding from the jagged, rough and ugly cutting. The house cried out in pain, but I was the only one who could hear the throes of agony. I was pretty unhappy with the work done by Thing One and Thing Two. The hole on the left was the contractor-created hole for the natural gas piping. They used a bright-yellow 1" gas line and it was not attractive. Monday morning, the contractor agreed to remove the misplaced yellow line and replace it with black-iron pipe, in the hole to the right. You can see (from this picture), how awkward the placement of that left-side hole is. The yellow gas line continues just inside the house. 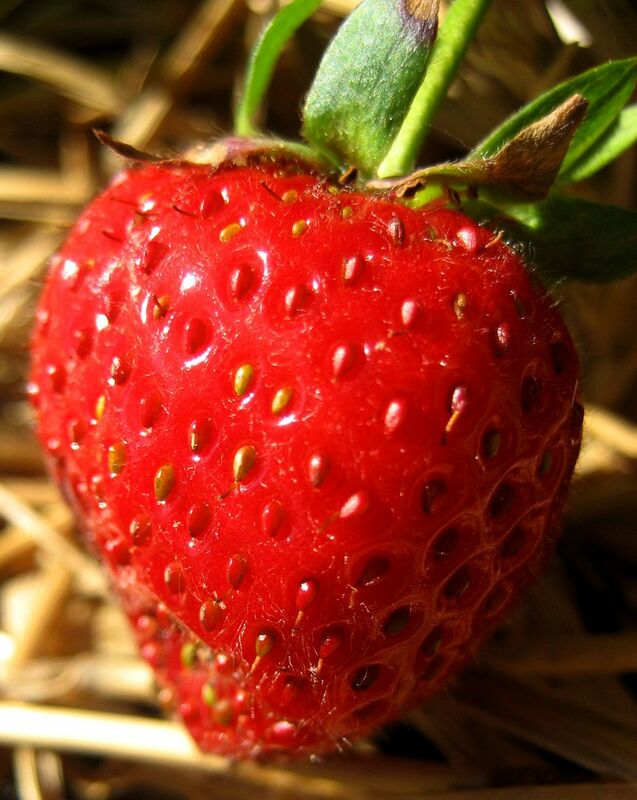 Close-up of the pain. The hole on the right was the original hole, where a gas line was run many, many years ago. If the contractor had simply used that hole in the first place (as I requested), it would have saved us all a lot of trouble. 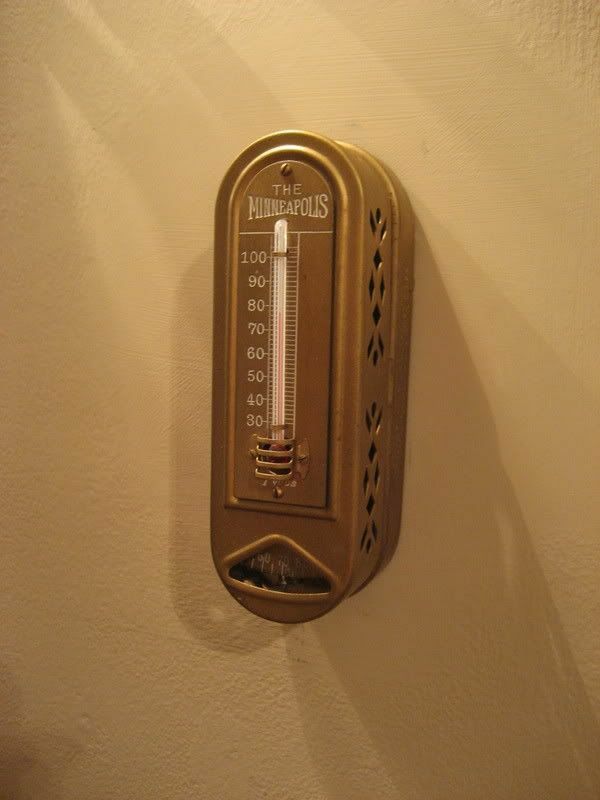 And there's a handy dandy little gauge on the wall that measures boiler temps and domestic hot water temps. Highly entertaining. 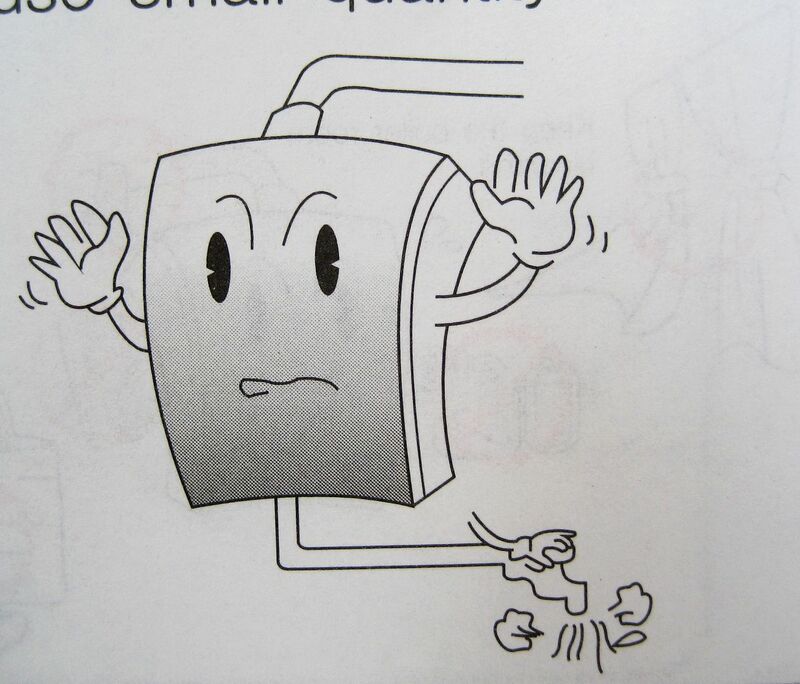 Instructional literature shows that the tankless boiler is a happy little thing. 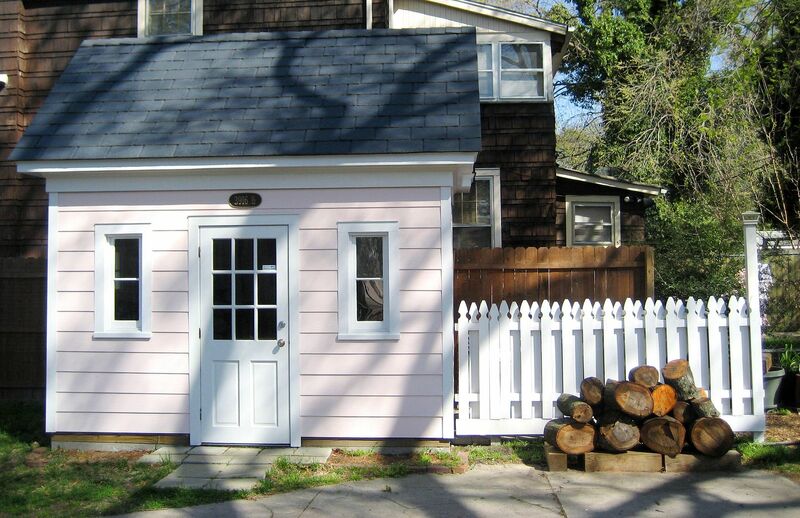 My pretty, pretty pink and green house! 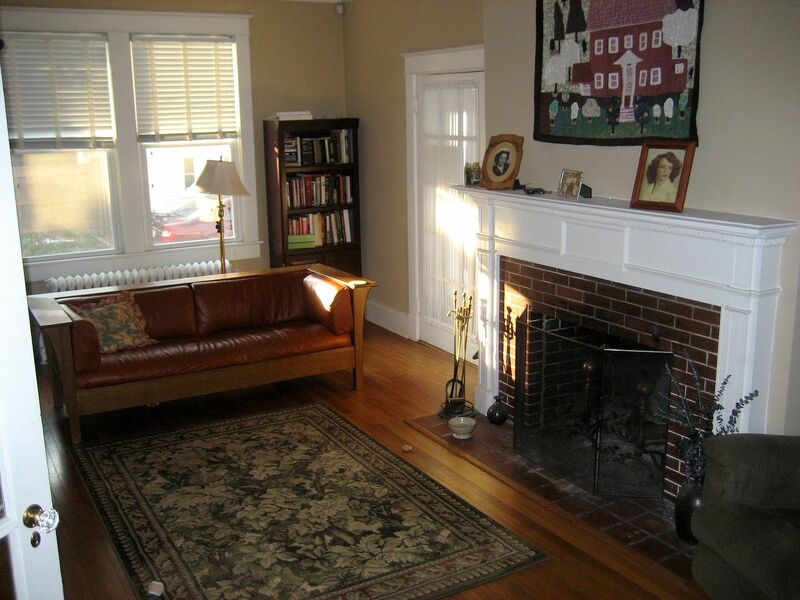 A New Day on Gosnold - OPEN HOUSE on Saturday (June 11th)! 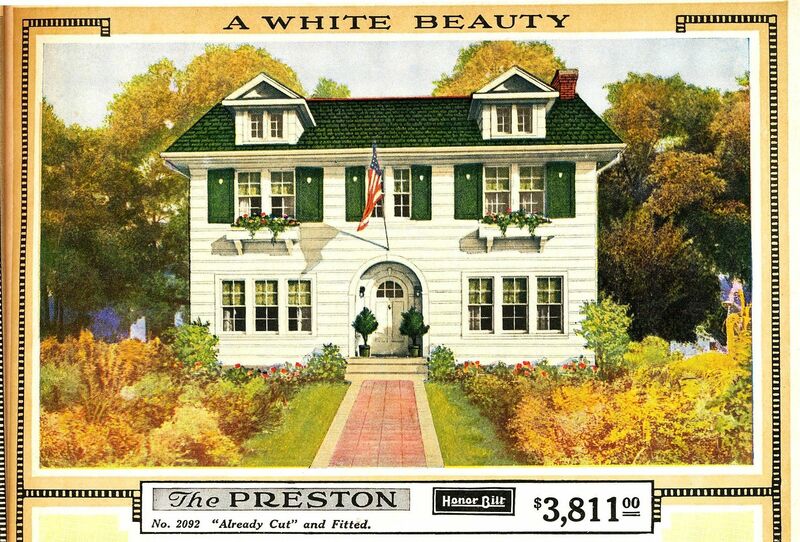 What does $299,900 buy you these days? 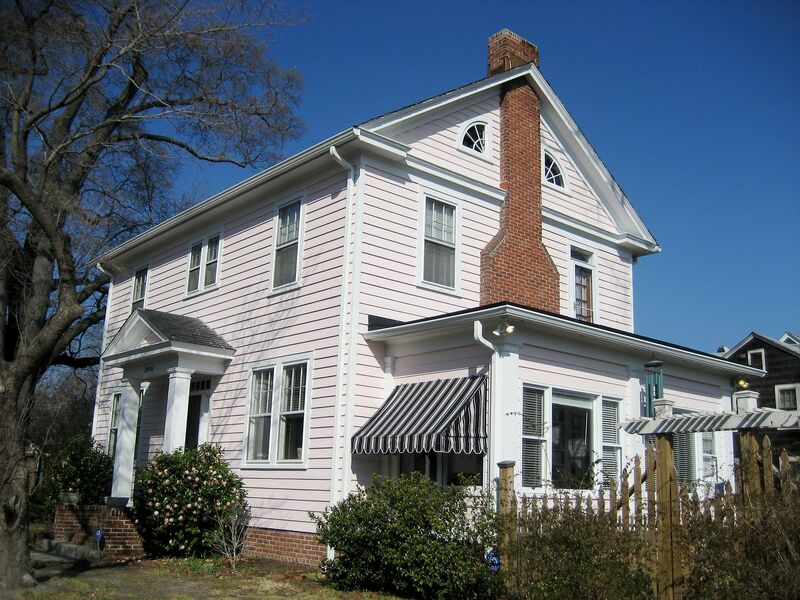 One beautiful pink house which has been faithfully restored to its original splendor! 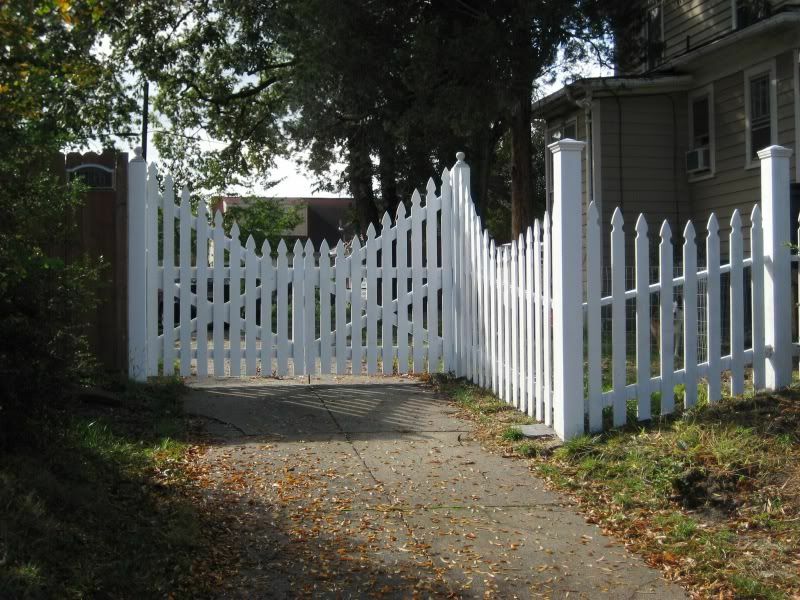 As an architectural historian, I’ve gone to great pains to make certain that all the work performed on this old house was done with painstaking care, forethought, and to my personal exacting standards. It’s also environmentally friendly, with a super high-efficiency gas boiler (94%+), high-efficiency central air (14 SEER) and a dazzling rainwater harvesting system, it’s a delightful blending of the best of old-world craftsmanship with modern technology. 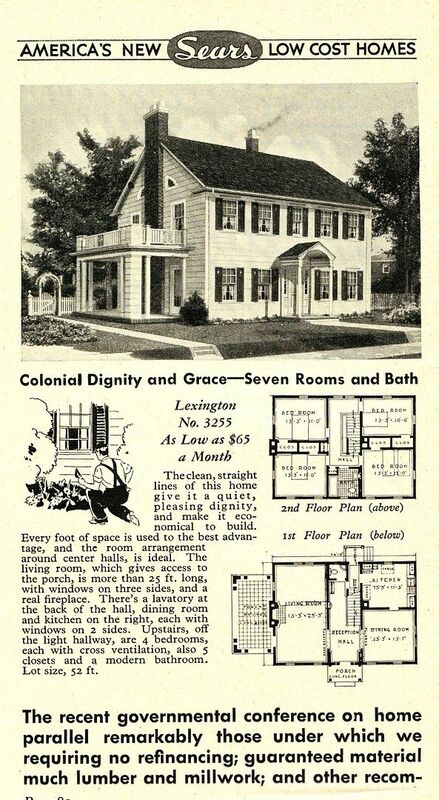 In short, you’ll have the unique pleasure of living in a beautiful old house with none of the environmental guilt. If you love old houses, you owe it to yourself to stop buy and see 3916 Gosnold Avenue on Sunday. Mr. Realtor will be here from 12-3 pm on Saturday, June 11th. 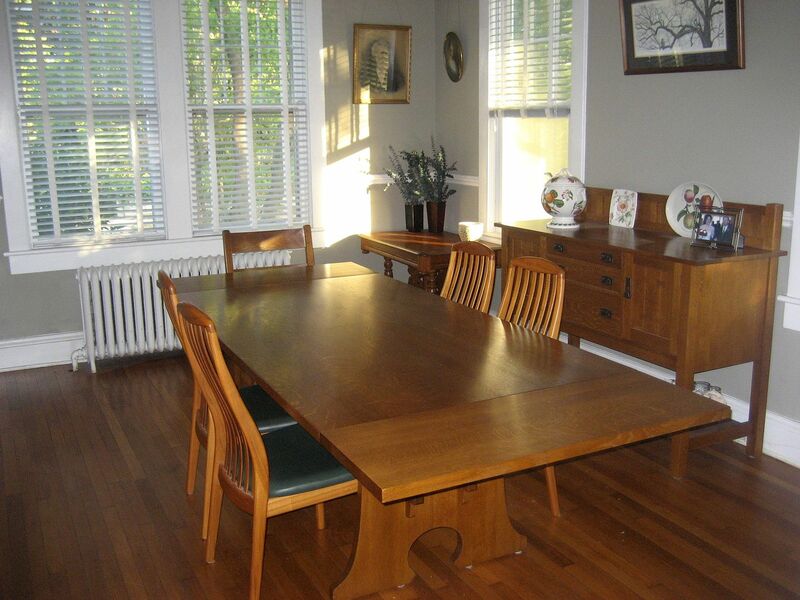 House is 2,300 square feet with three bedrooms, 1-1/2 baths, and a large sunporch. 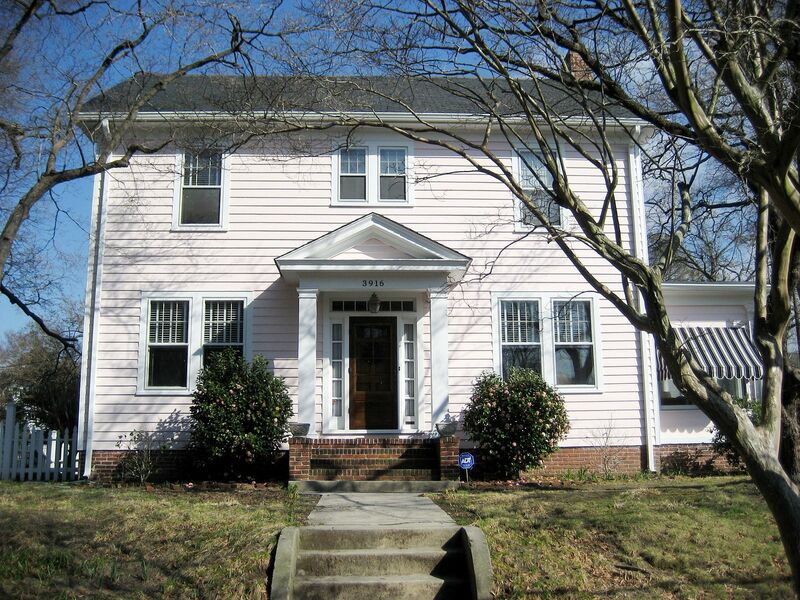 Asking price is $299,900, which is $45,000+ below city assessment. If you’re interested in scheduling an appointment please contact the Realtor. Ready for the tour? Enjoy the photos! To read part two (more photos! ), click here. 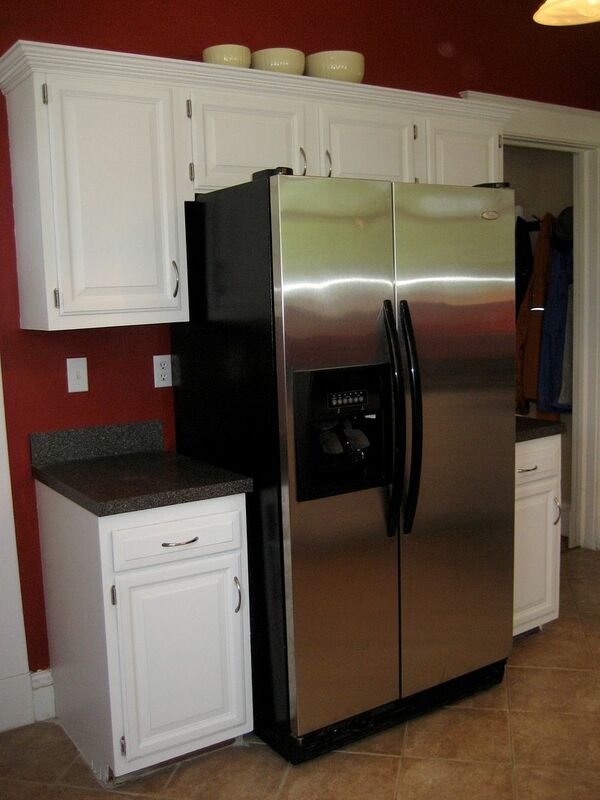 Really, really big refrigerator does everything but serve you buttered toast in the morning. 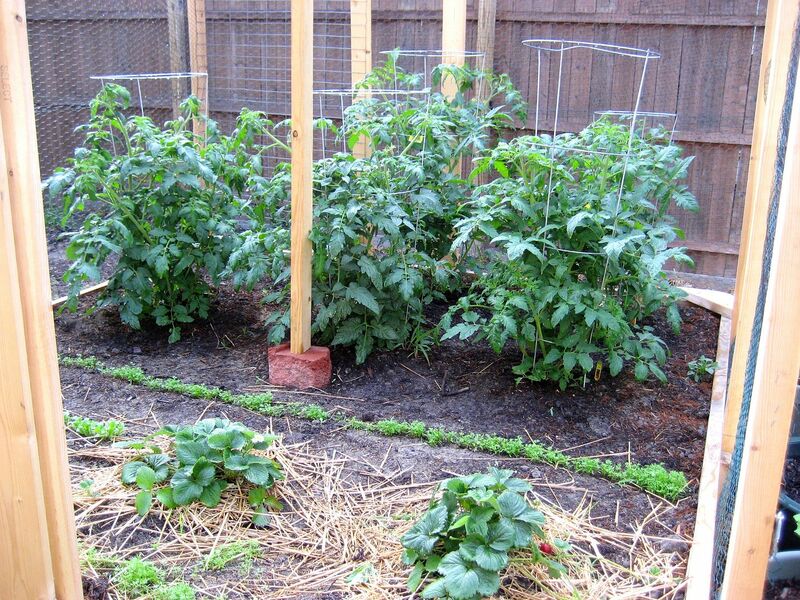 And they all live together in peace - in a fully enclosed living space - safe from racoons and squirrels. 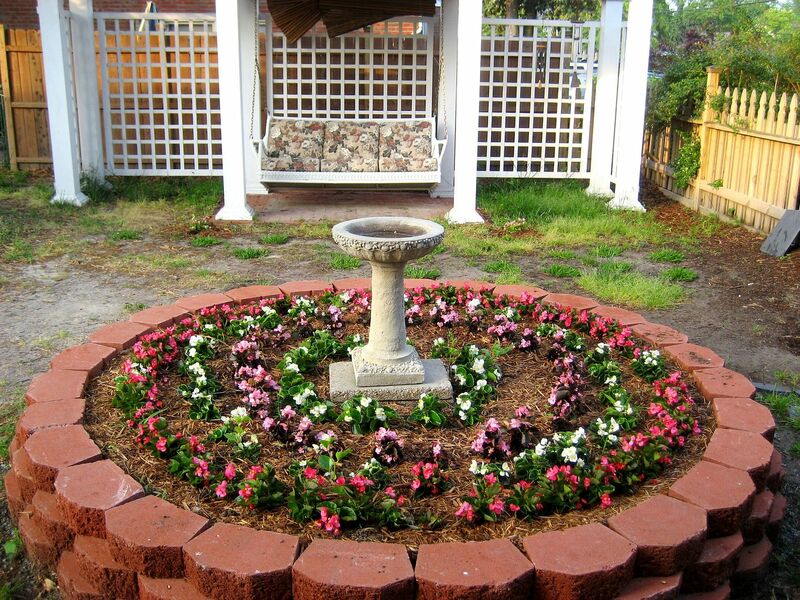 And a flower garden, too! 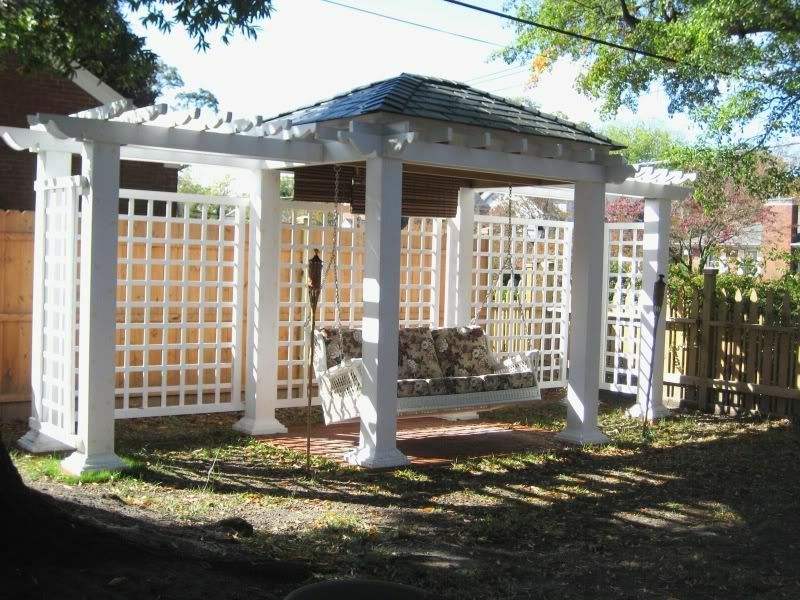 And I saved the best for last: The Perfect Pergola. 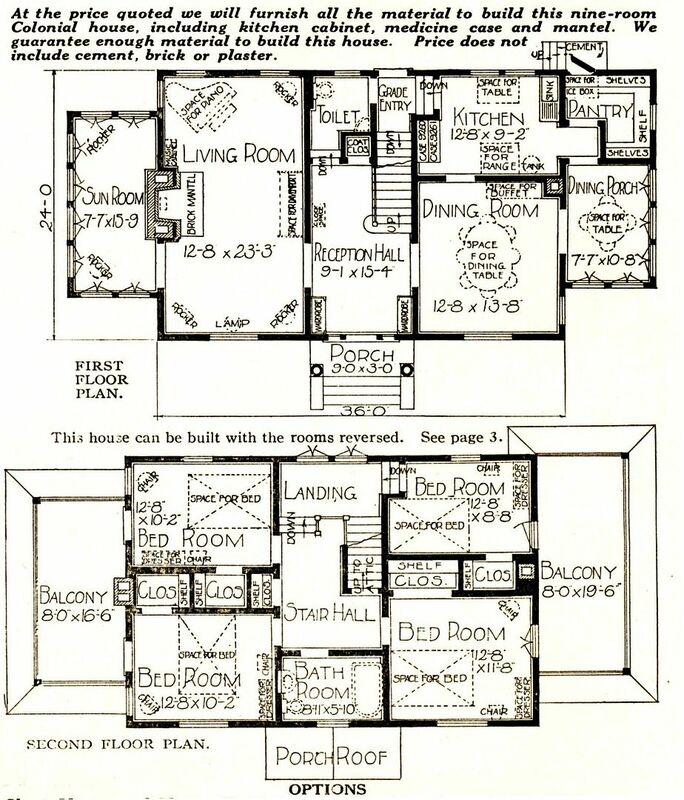 The design came from a 1924 architectural magazine. 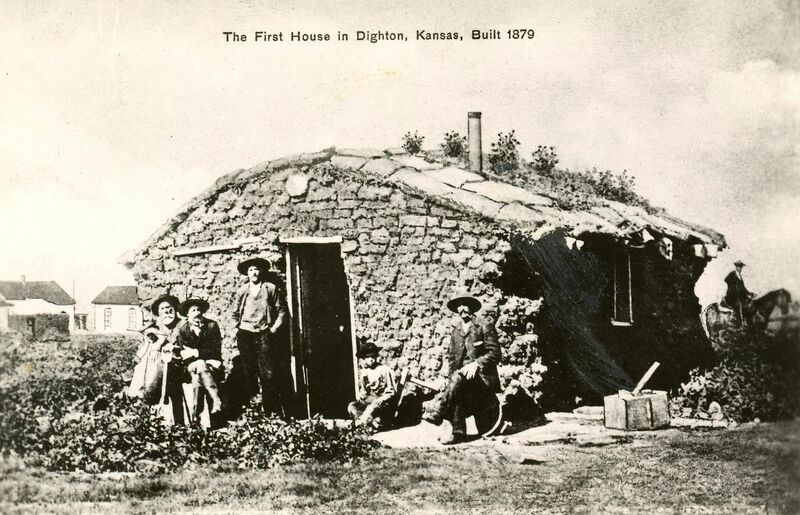 Note hipped roof with slate shingles. 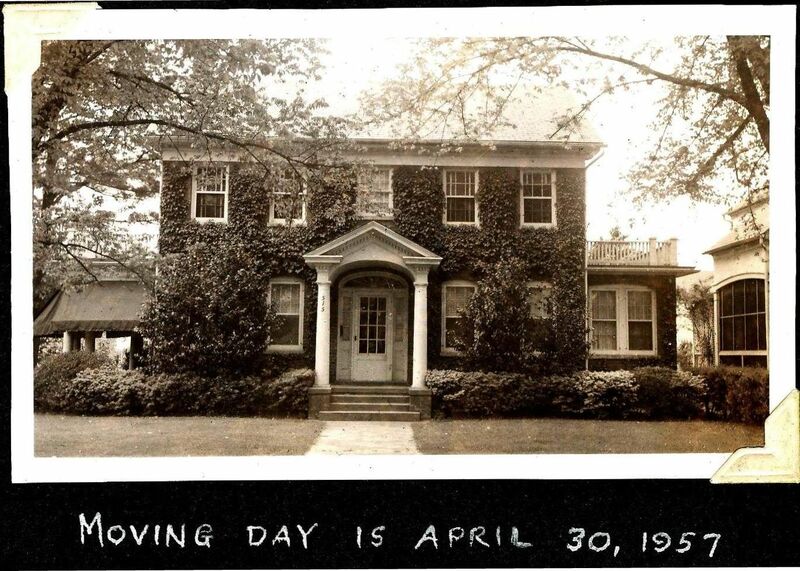 When we first moved into 3916 Gosnold Avenue, we went to great lengths to find more about the home’s original owner and builder. 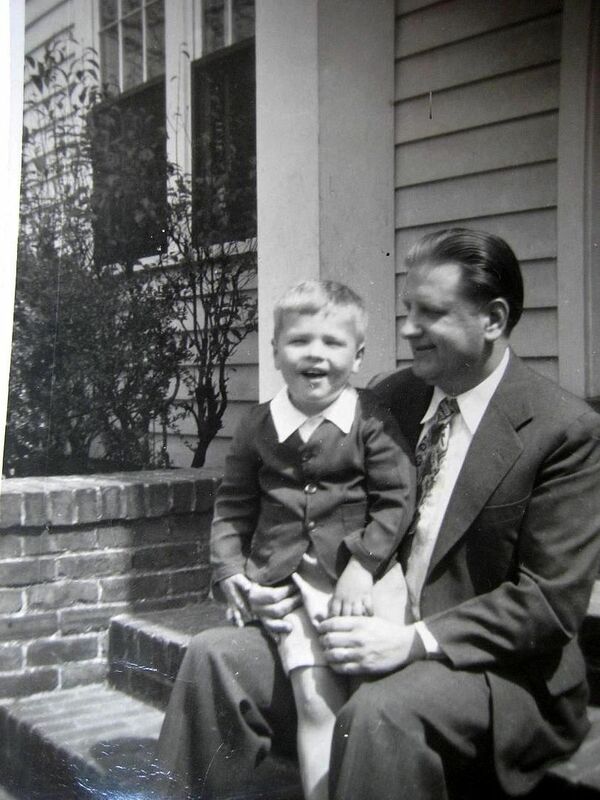 Thanks to Norfolk historian David Spriggs (an incredible researcher), he hit the Mother Lode. He found the grandchildren of the original, whom we contacted by mail. They responded almost immediately, and Wayne and I invited them to re-visit their family home. 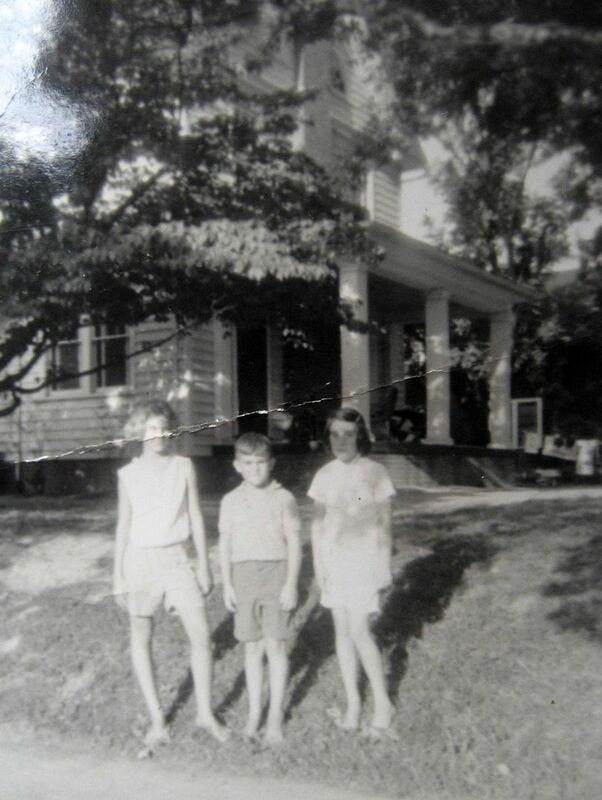 Ed Barnes and his sister Laura Barnes Chappell brought with them many documents and pictures and stories and it was a bonanza for me, the old house lover - hungry to know more about my very own old house. 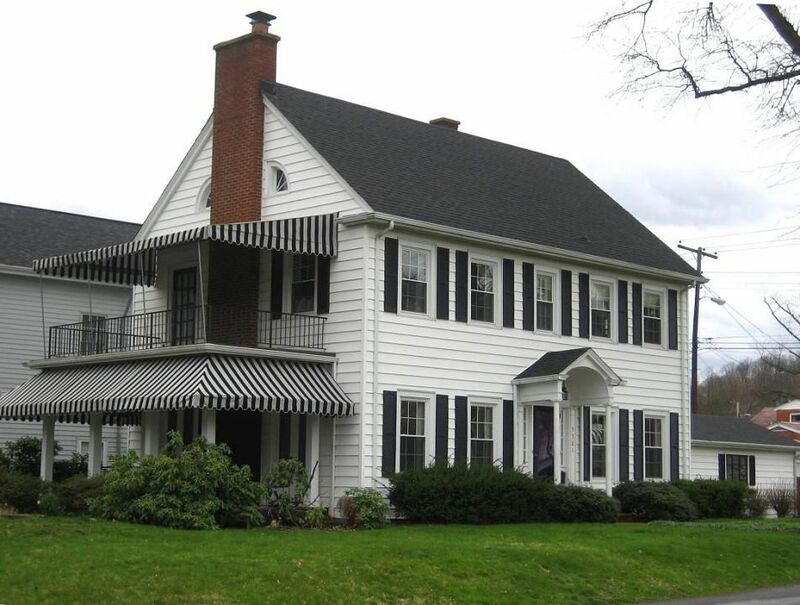 We learned that this house was built in 1925 (not 1920 as city records showed) by William Barnes. 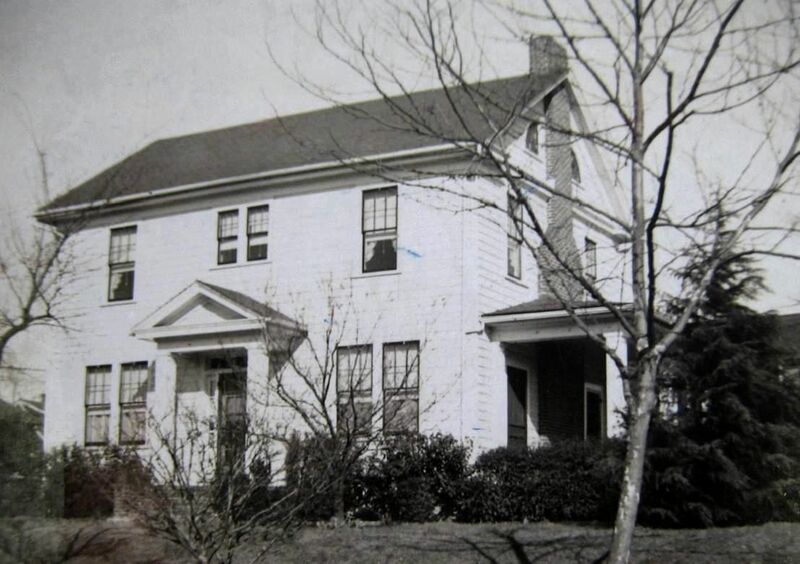 Mr. Barnes was part owner of Etheridge Lumber Company, located at 1225 Brambleton Avenue in Norfolk. 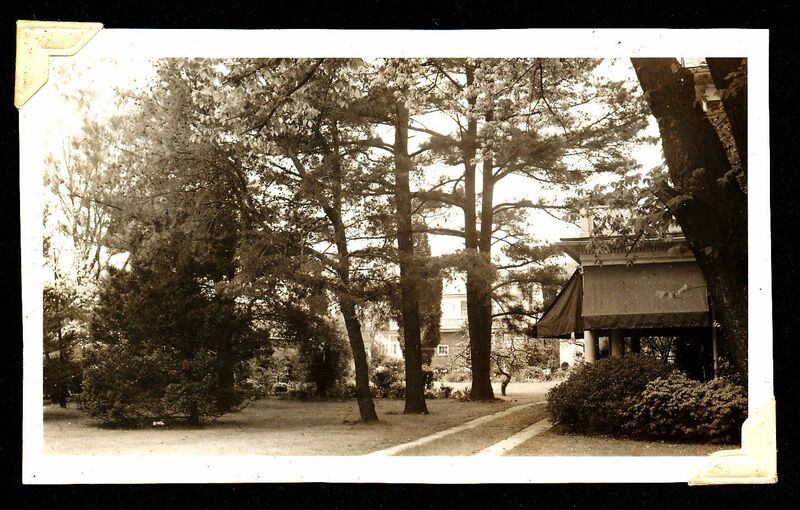 According to local lore, every piece of framing lumber in this house was personally inspected by Mr. Barnes. 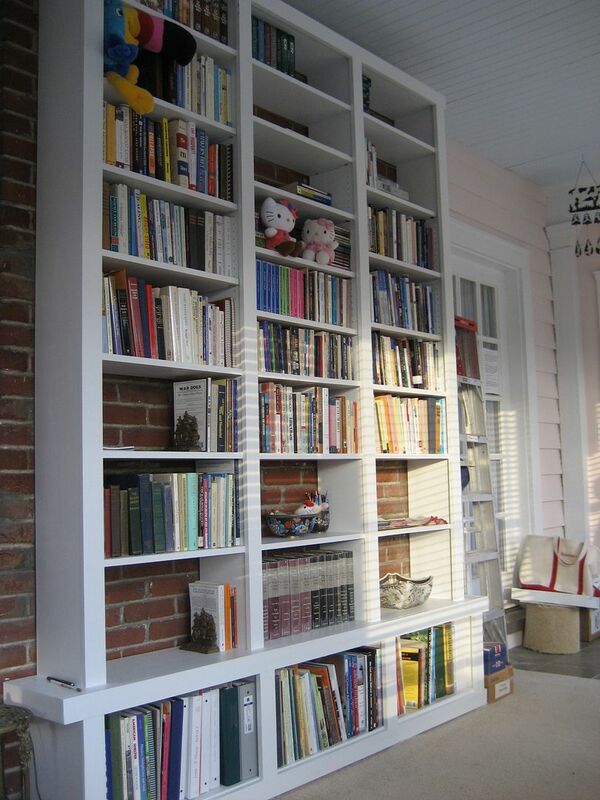 It’s a story that rings true: The lumber in this house is truly extraordinary. 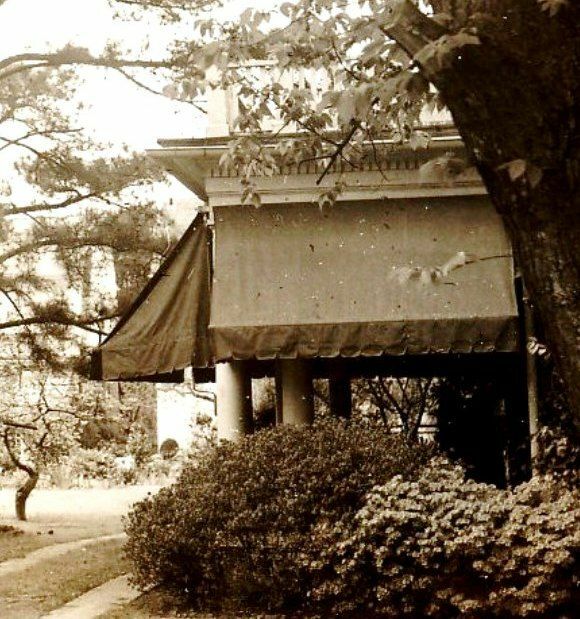 She died six months after moving in the house, and her wake was held in the living room. 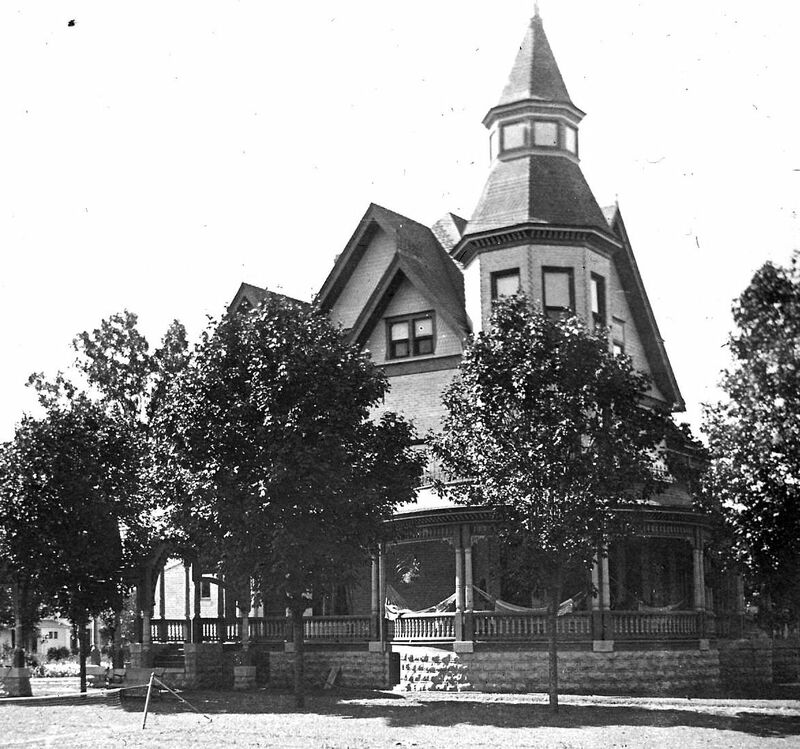 The house remained in the Barnes’ family until 1971. 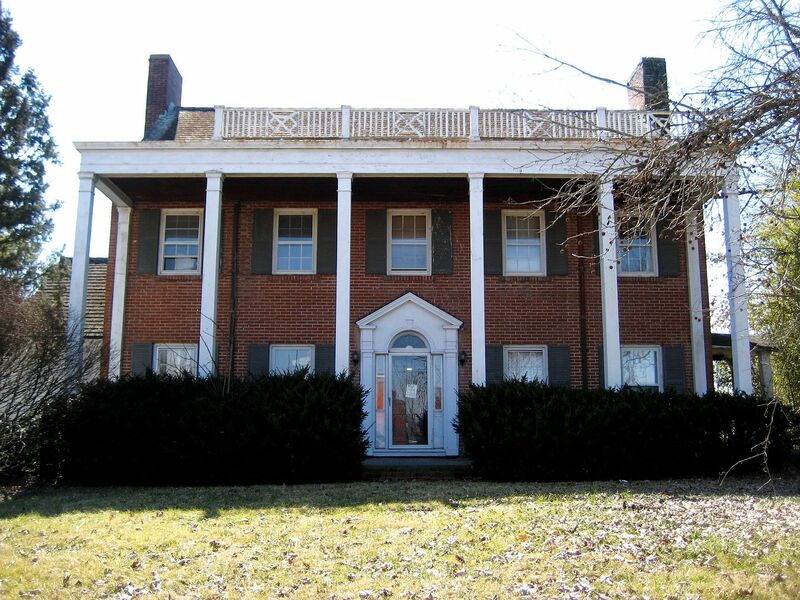 William Barnes bequeathed it to his son, and he remained here at the house until his death. 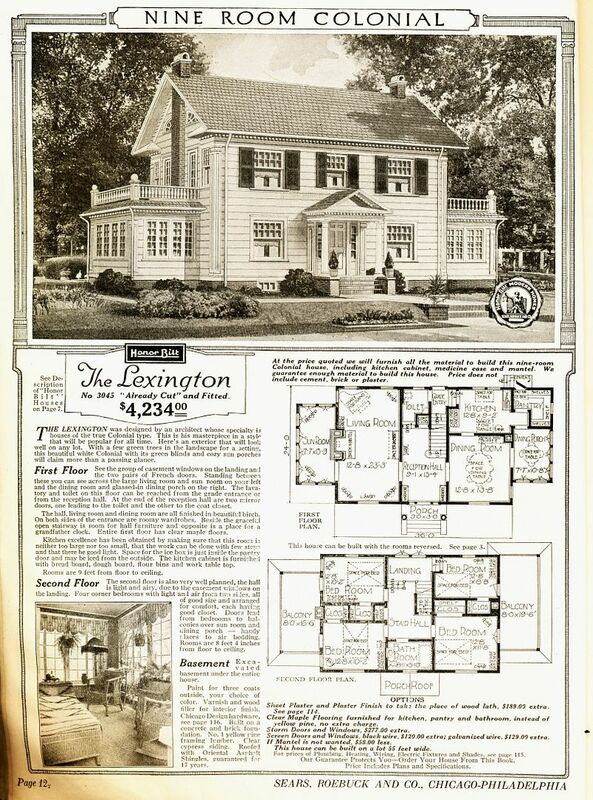 The Barnes’ family sold the house in 1971, and then it went through a myriad of owners. We bought the house in Spring 2007. And it’s time for the house to bless and shelter and protect another family. 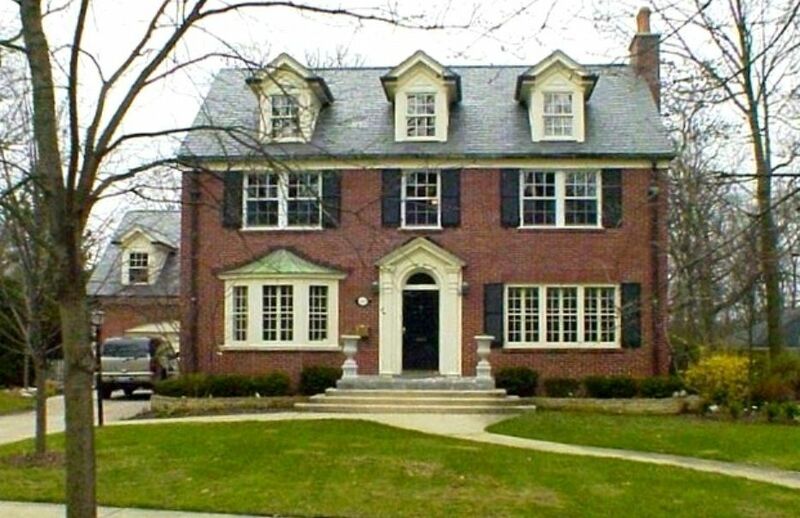 It’s time for me and Wayne to move on and start a new chapter in our life, and we’ve put our old house up for sale. I thought it’d be fun to share a little bit of what I learned, and show a few of the photos that tell the story of our home. To see contemporary photos of the house, click here. 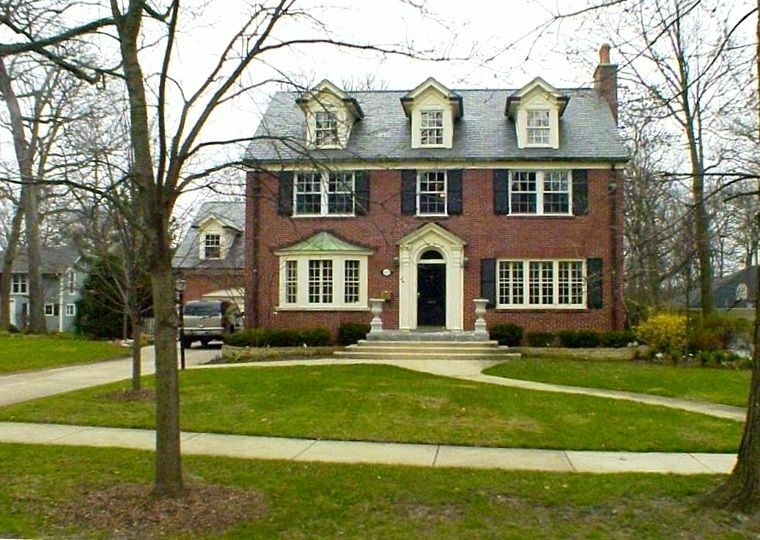 To buy Rose’s house, click here. 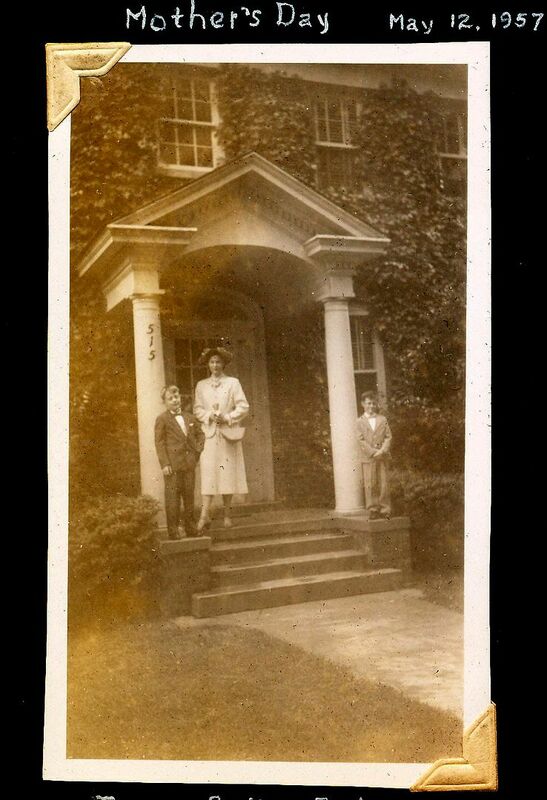 This photo is from the city assessor's office and was taken in 1948. 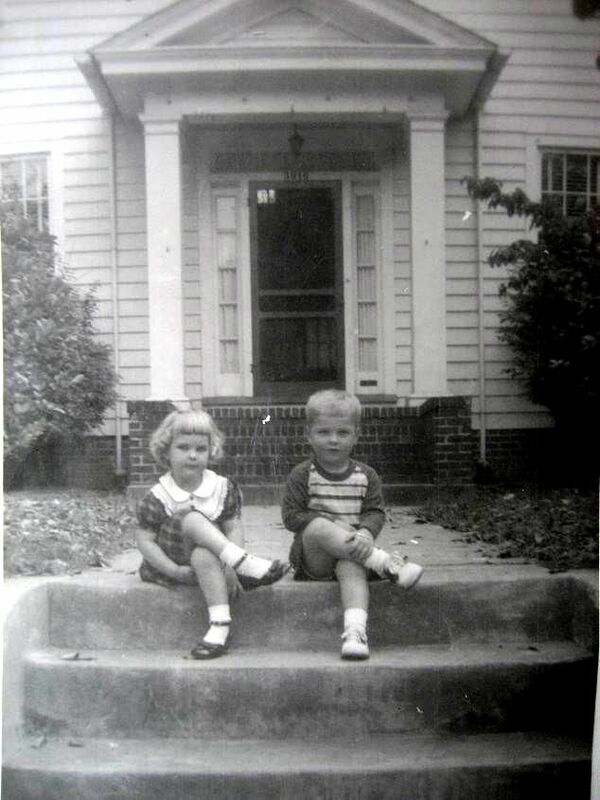 The twin grandchildren of the home's builder (William Barnes) sit on the front stoop. 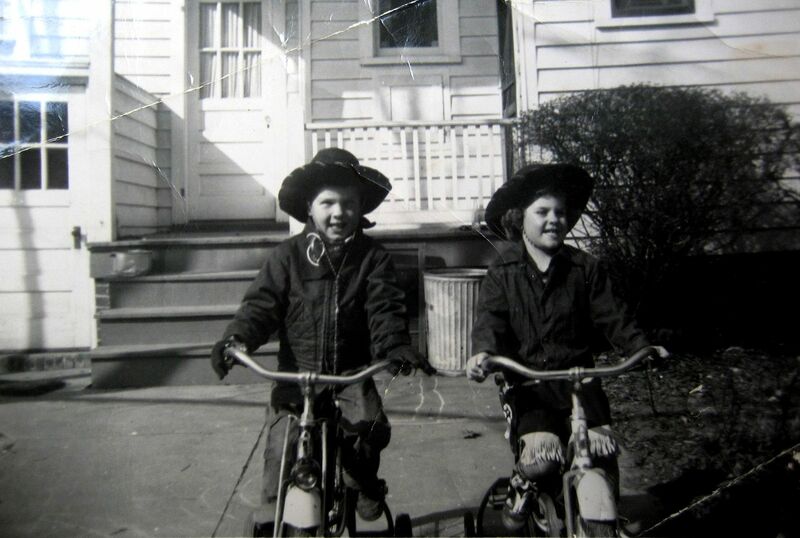 They were raised in this house and Laura (left) is the one who supplied the many family photos. 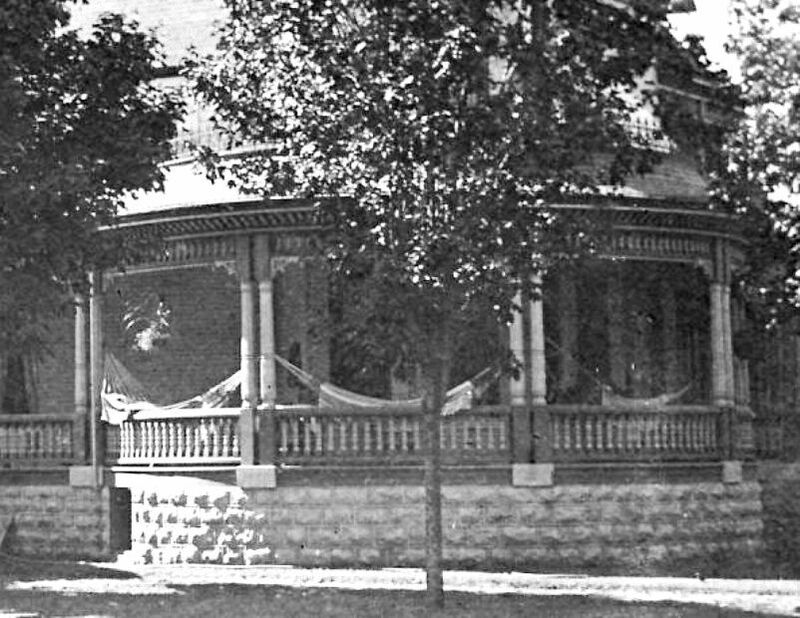 Wiliiam Barnes' gave this home to his son (shown here with his young son), but old Mr. Barnes continued to live in the house until his death. 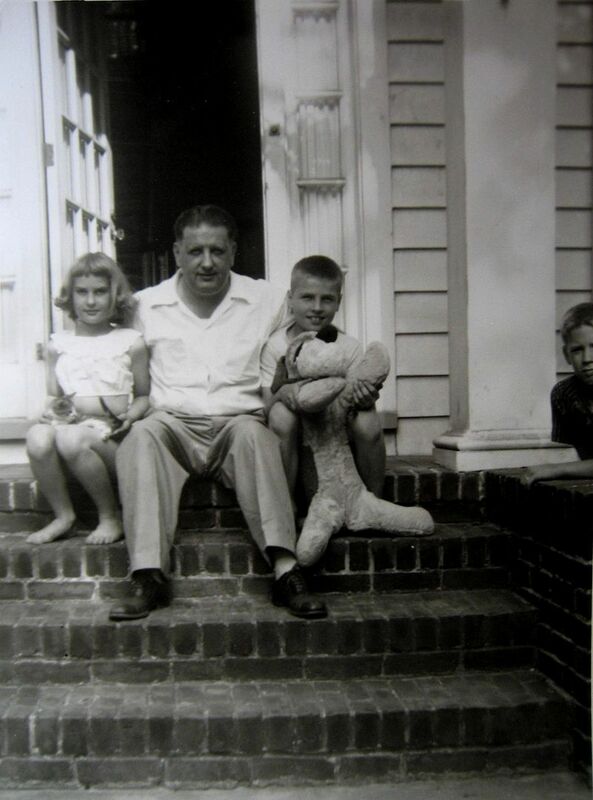 The Barnes' family on the front porch (about 1958). Kids playing around in the back yard. I used to have a firetruck just like that, and I loved it. Matching outfits and matching trikes! In the background, you can see the old "ice box door" (below the kitchen window). This small service door allowed the ice man to load ice into the back of the ice box without tromping through the house. The ice boxes typically had a corresponding service door on the rear. The old ice box door is still in place in our house. 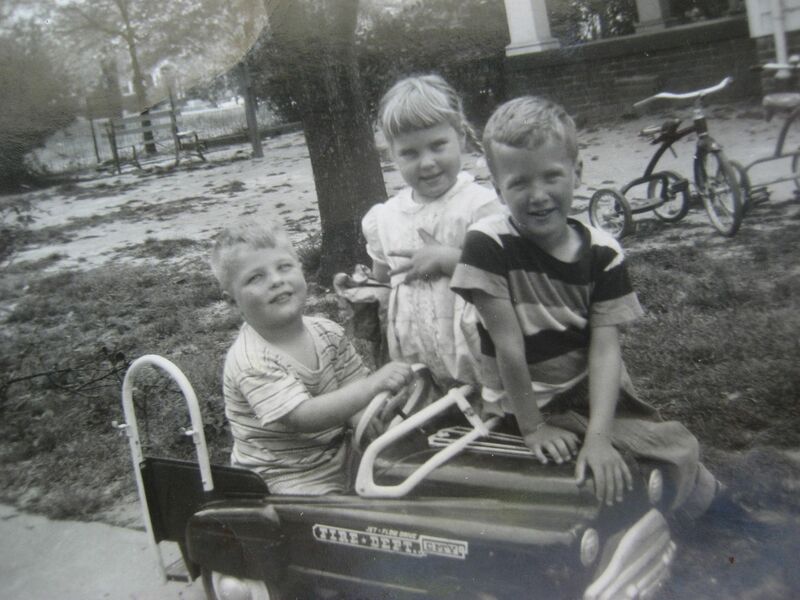 Hot summertime day, probably in the early 1960s. 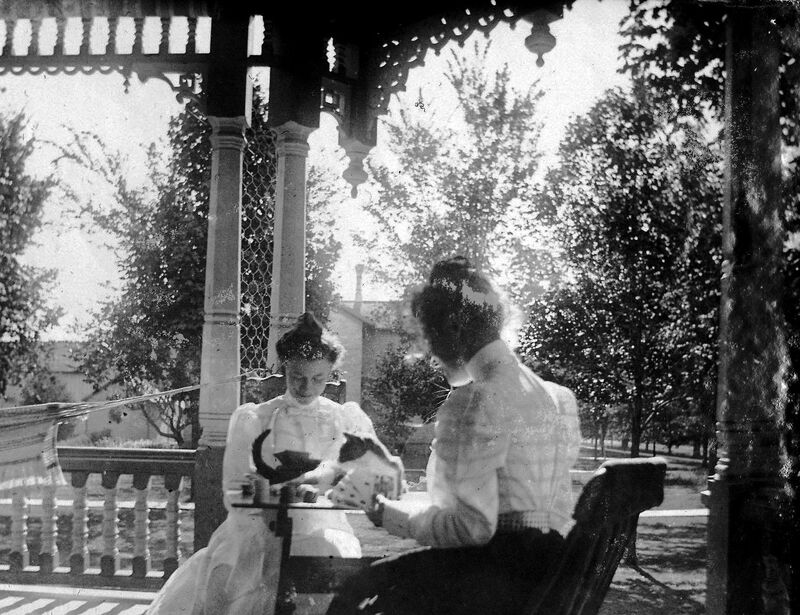 Note the open sunporch in the background. 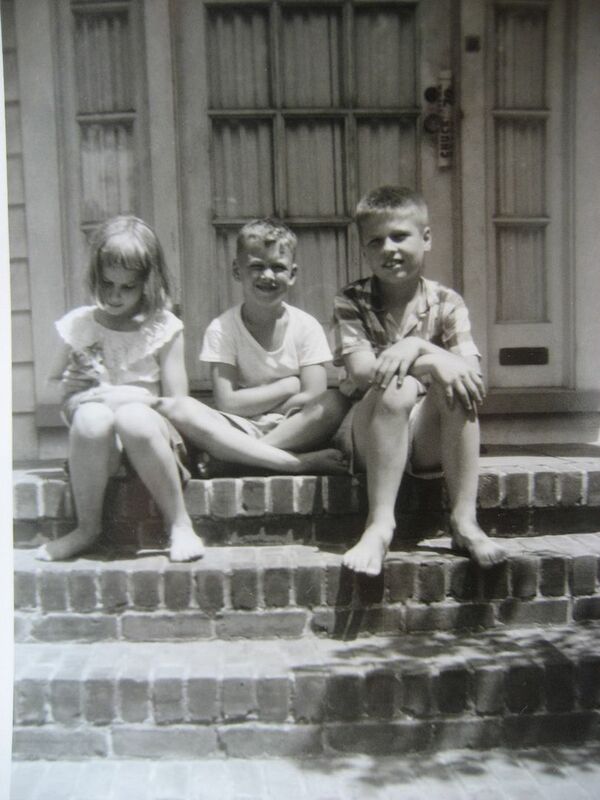 Barnes' children (and one mystery kid) hanging out on the front porch. This is one of my favorite photos. 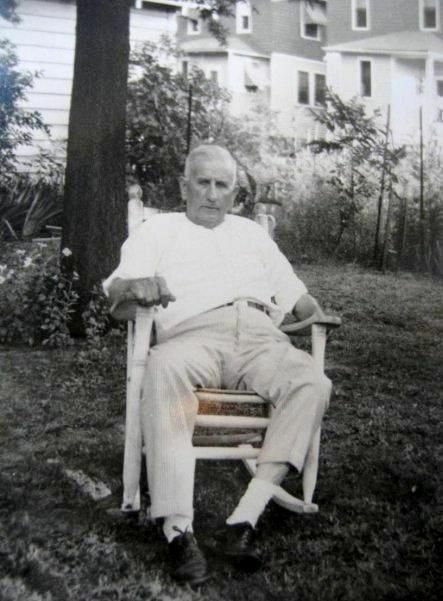 It's William Barnes, the home's original builder, seated in the back yard of the house he built with love and care. Last night, we listed the house so it’s officially for sale. 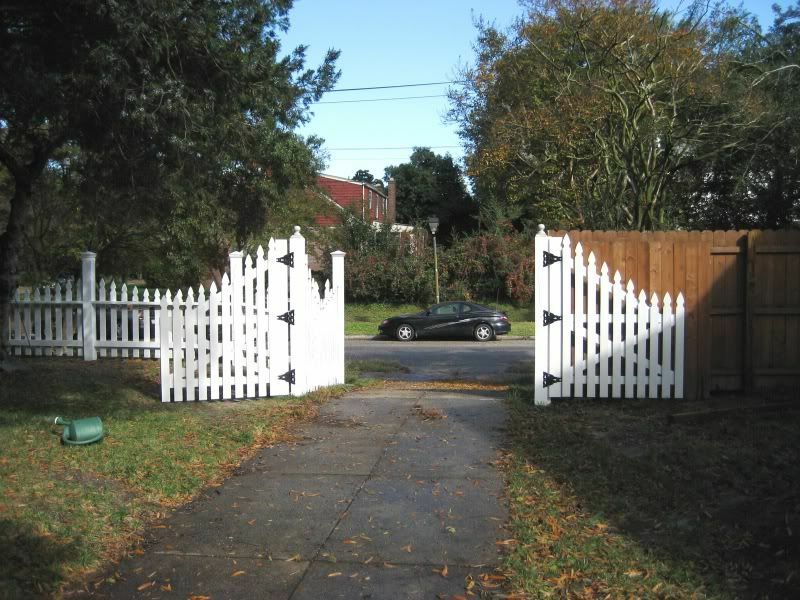 I tried the FSBO route for about 12 minutes, and then my old Realtor training kicked in, and I remembered how much it cost to advertise, and I remembered that the whole process of buying and selling a house has become so complex, that I sent up the white flag and listed the house with a bona fide Realtor. The house is city assessed for $345,000 and the Realtor thinks we could get an appraisal for something not too far off that, but we’re ready to sell the house so we went for $319,900. 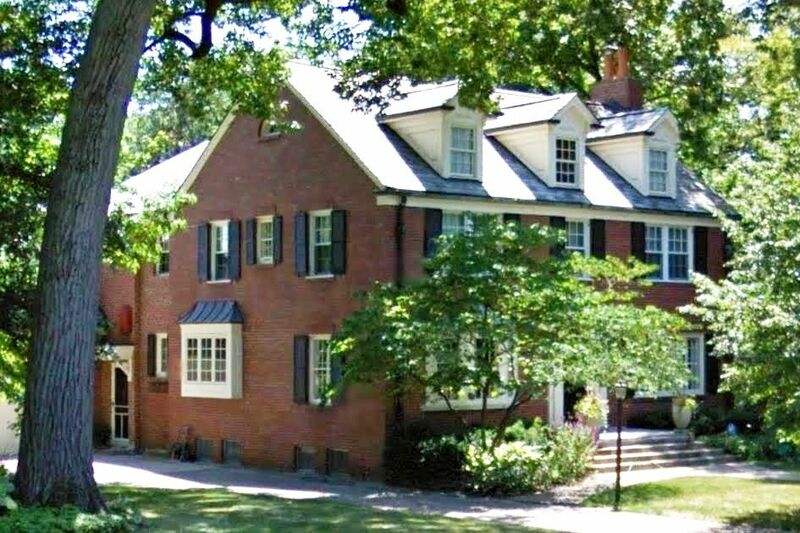 It’s a grand old house, but we need to move on. As an old house lover, I always thought of myself as more of a caretaker than an owner, and now it’s time to pass the mantle on to someone new. And those new owners will have a treasure on their hands. The hard work and expensive projects have been completed. Here are a few of the improvements we’ve done recently (see pictures below). 1) New super-high efficiency gas-fired boiler (94% efficient) which was installed less than 60 days ago. 2) New high efficiency central air system and all new ductwork, with electrostatic air cleaner. 3) Thorough restoration of original (Buckingham Slate) roof, with copper flashing installed at all chimneys, and copper cap at roof ridge. Life expectancy of copper flashing is 75 years or more. 4) New rubber (EPDM) roof on sunporch, and new shingles on kitchen/back porch roof. 5) Seamless 6-inch (extra large) aluminum gutters and downspouts installed around entire perimeter of roof. 6) Entire house replumbed - from basement to 2nd floor - with all copper lines in 2007. 7) Electrical service updated, and new wiring run as needed. New electrical panel installed. 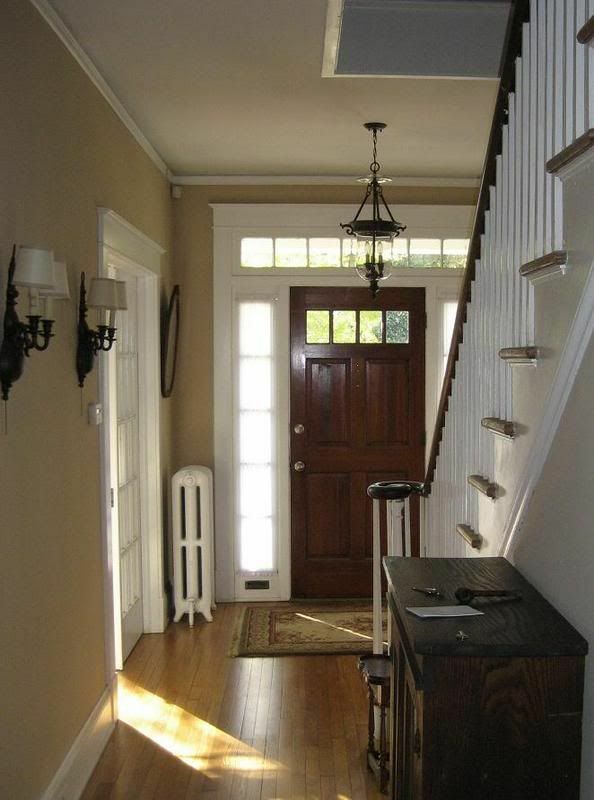 8 ) Summer 2010, entire house was painted with two coats of Sherwin Williams Duration (applied by brush). 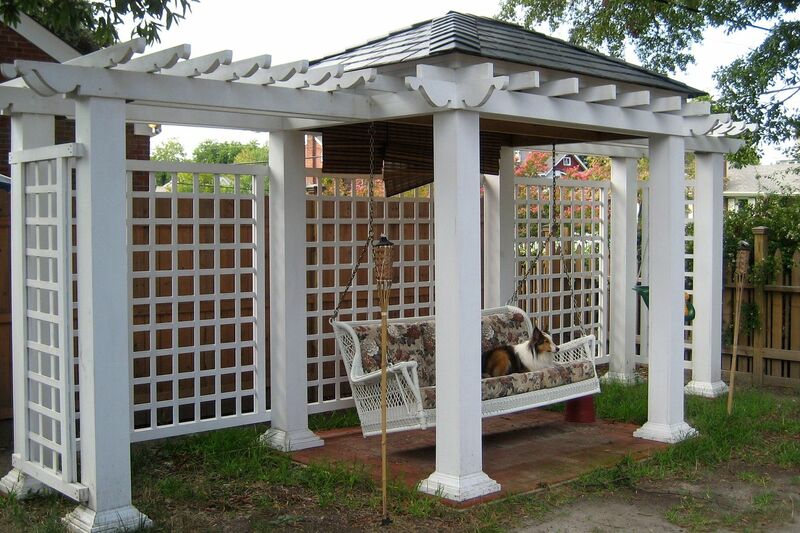 Duration Paint has a 25-year guarantee. More than 40 tubes of caulk were applied to home’s exterior. 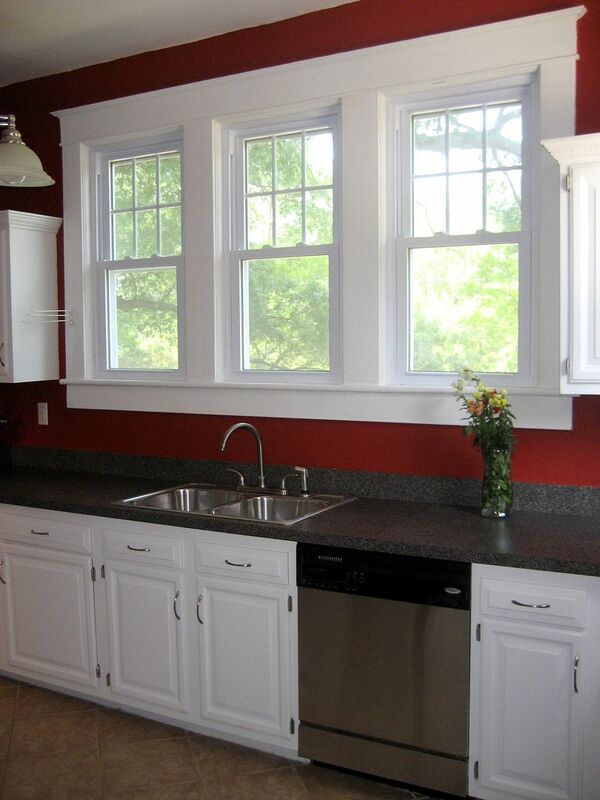 9) On the rear of the house, there are some new high-end replacement windows (high efficiency with argon gas) installed within the last two years. Home’s original windows. were preserved on front for visual appeal. 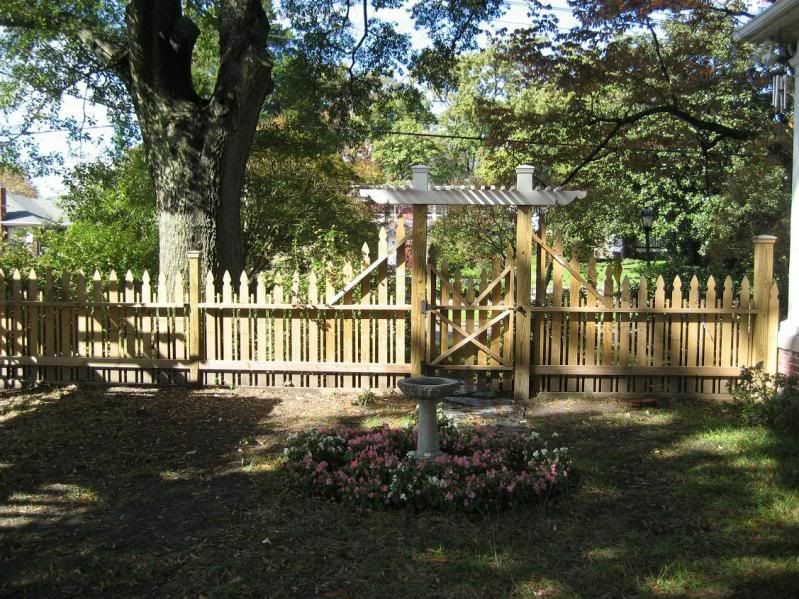 10) Custom-built picket fence (unique design, and made on-site) surrounds property and was installed in 2009. 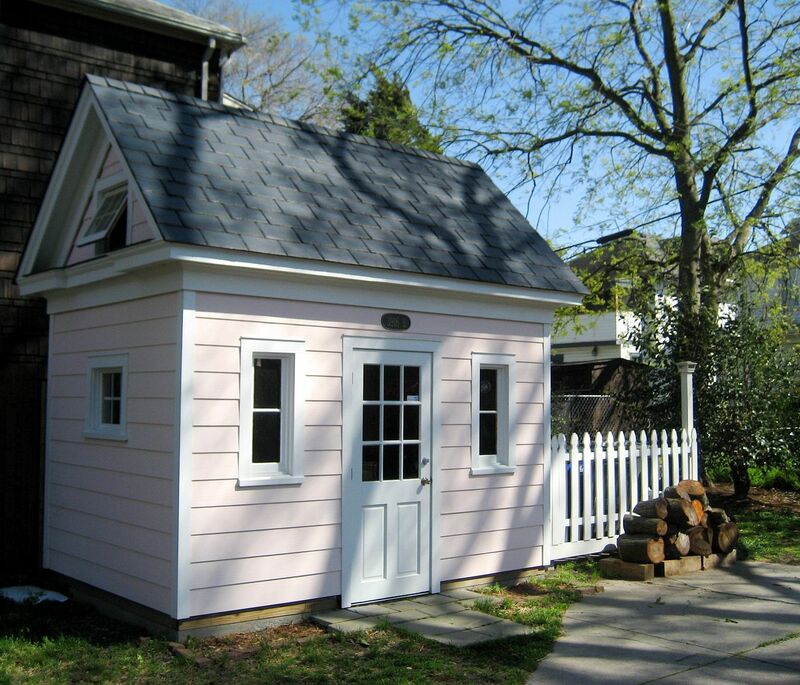 11) Custom-built “mini-house” is a small-scale replica of the main house, and has a floored attic, slate roof and vintage windows, and was completed in 2009. 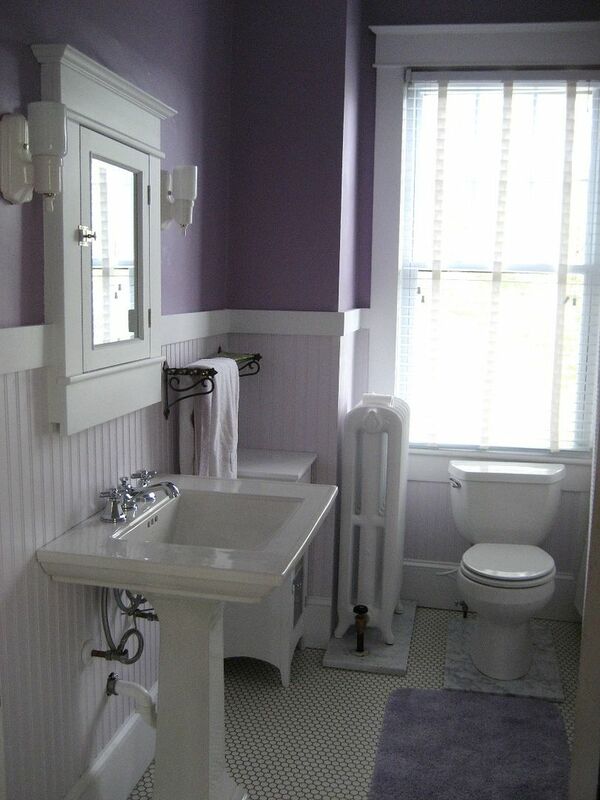 12) Second-floor bathroom was faithfully restored with porcelain sconces, Kohler Memoirs sink, Dante brass faucets and solid brass vintage towel rack. 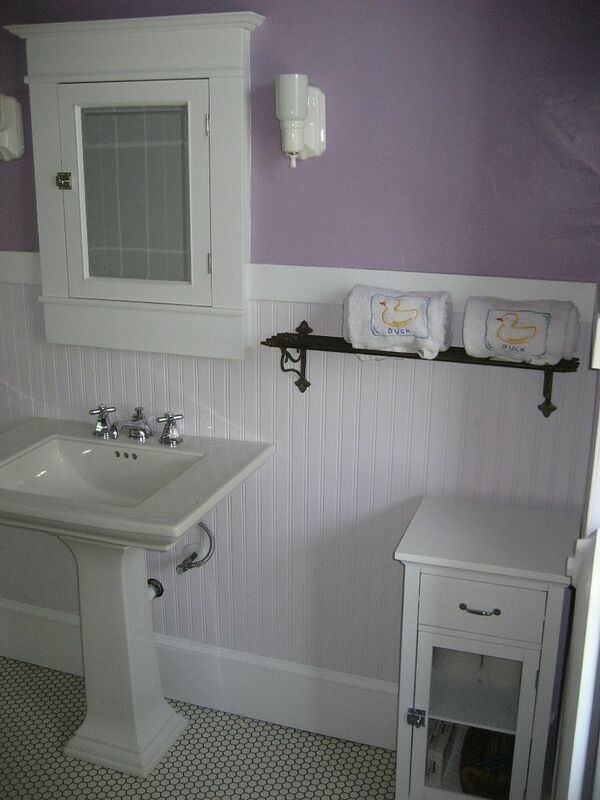 Electrical was updated with GFI outlet added in bathroom. 13) Modern kitchen is full of light with seven large windows, and has stainless steel appliances, and a new high-end Kenmore gas range. 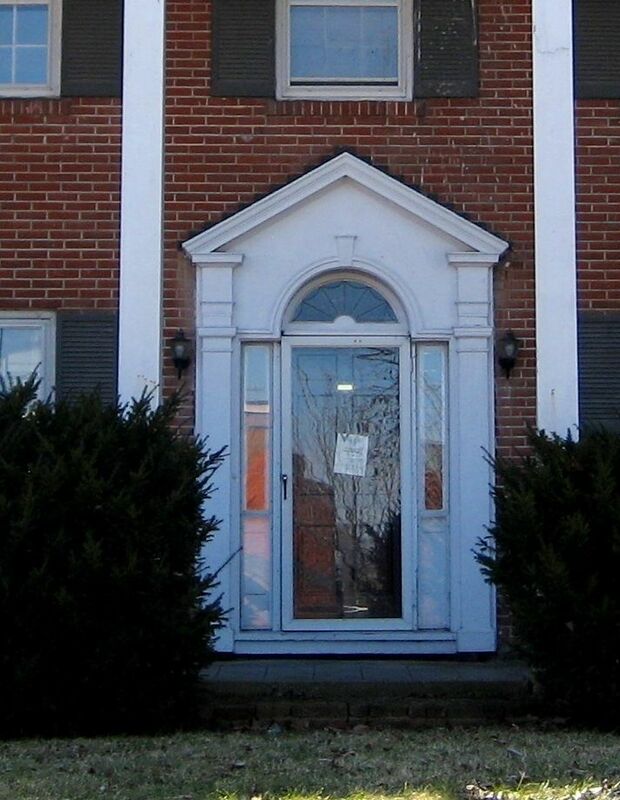 14) Four new storm doors installed in 2008; three aluminum (Andersen) and a wooden storm door for the front. Appearances are everything. 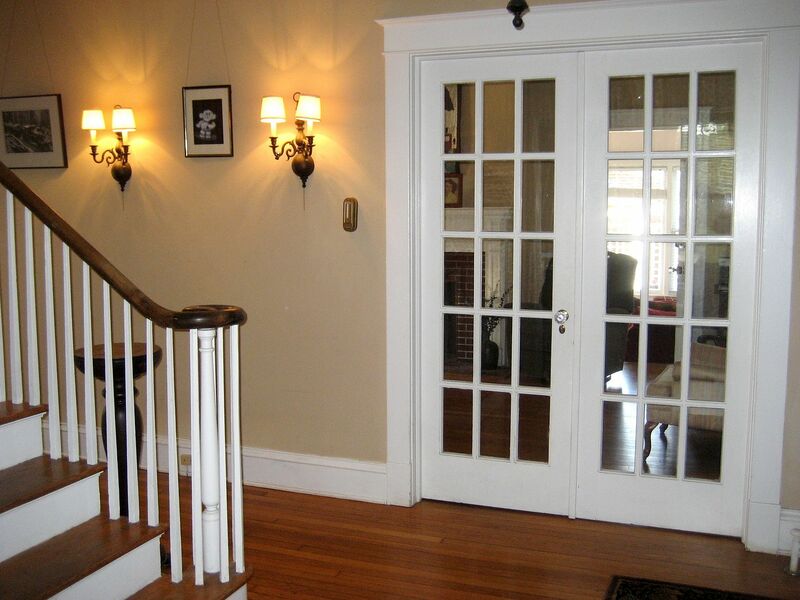 To see more pictures of Gosnold, click here. 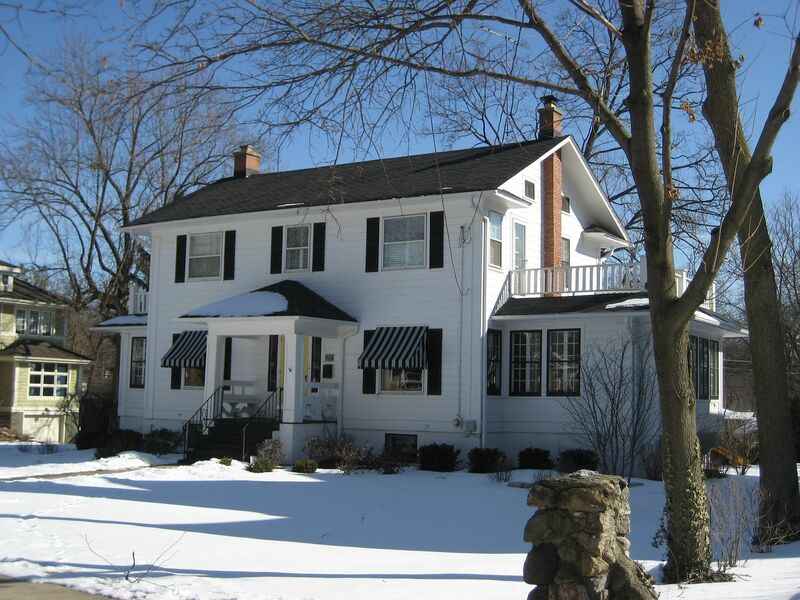 To see our new house, click here. 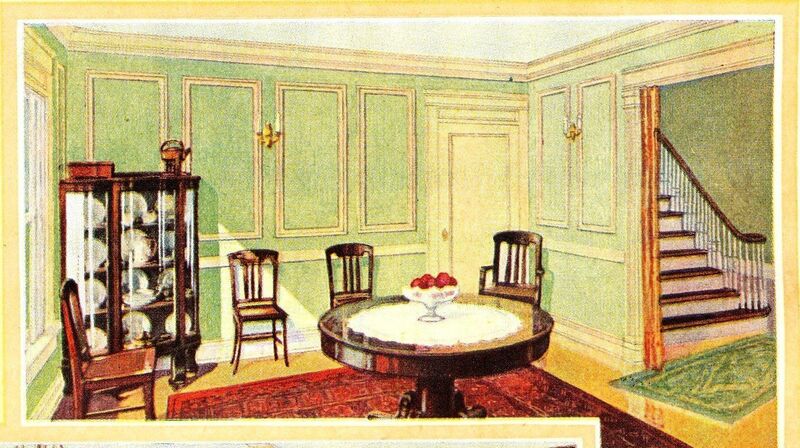 Photo from the dining room, looking into the living room. To schedule an appointment, contact Rose at thorntonrose@hotmail.com. Well, let me restate that. 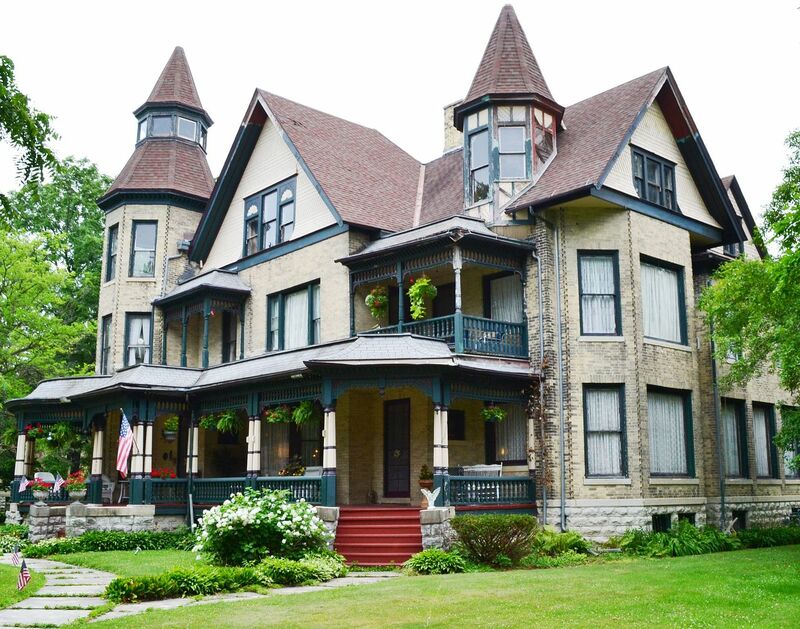 It’s as environmentally friendly as an old house can be. What we didn’t realize is that we’d spend several billion dollars on heating oil trying desperately to stave off Old Man Winter (a natural enemy of old houses). And then came Winter 2010, one of the coldest winters we’ve had in a long time. And then oil prices started up (again). In three months’ time, we burned more than $1,600 in fuel oil. In January 2011, when Mr. Oil Fill-Man appeared in my back yard (a scant 27 days after his last visit), I ran outside to chat with him. His answer was not a comfort. 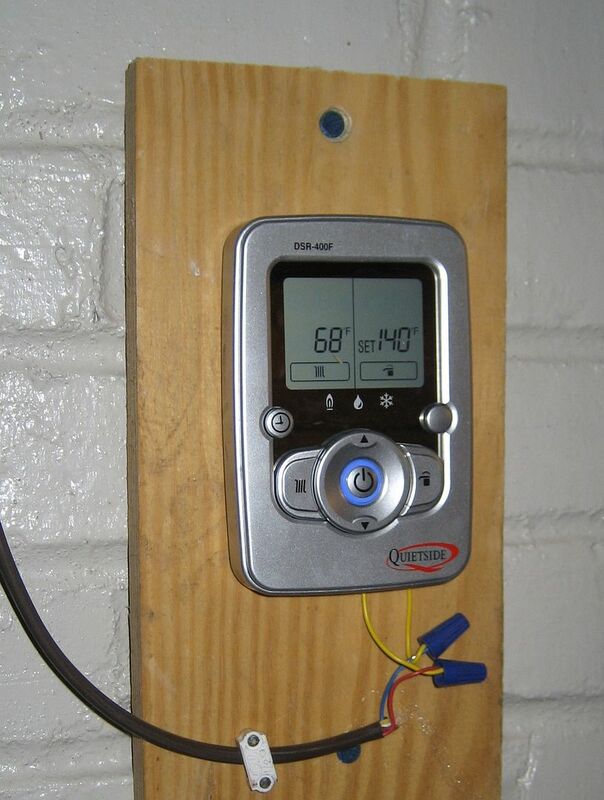 This told me that my neighbors were probably apoplectic over their heating bills, as well. I was not that surprised to hear that two neighbors had just had not-so-old oil boilers ripped right out and replaced with this fancy new system. I suspected that most people were NOT going to tolerate paying $500+ a month - every month - to heat their homes. It was an outrageous sum of money. And I knew that we’d done everything in our power to “button-up” the old house. Since purchasing the house in March 2007, we’d added four high-dollar storm doors to the previously naked (and drafty) primary doors, and we’d installed 12 super-dooper high efficiency replacement windows (on the rear and side), and we’d repaired and re-caulked old storm windows on the remaining windows. We’d also used up 40 tubes of caulk (yes, 40), in Summer 2010, closing up every little crack and crevice on the old house. Frankly, I’ve always felt it was a bit nutty to use oil for home heating - for several reasons. 1) Our oil reserves are dwindling. Peak Oil, according to the smart people, arrived in 2007 or 2008. I’m of the opinion that remaining reserves should be devoted to transportation, with an eye toward (quickly) developing energy alternatives for our little cars. 2) Many of our “oil dollars” go to a foreign country, and some of these oil-rich countries in faraway lands have a history of treating women with little or no respect. I find that reprehensible, and I don’t want my dollars funding such egregious behavior. Sharia law is a glimpse of hell on earth for women. 3) BP oil spill. ‘Nuff said. 4) Hugo Chavez. ‘Nuff said. 5) Every dollar I spend on oil is a dollar that leaves America and right now, we need to buy local. Natural gas supplies are abundant in North America. Having watched “Gasland,” I’m horrified at the fracking process currently in use (which is destroying our water supply), but for now, Natural Gas seems to be a better alternative than #2 Heating Oil, and the lesser of two evils. 6) Heating oil is messy and smelly. I’ve got the blessing (or curse) of a hypersensitive sense of smell, and every 27 days when we get an oil delivery, the smell has been powerful throughout my home. 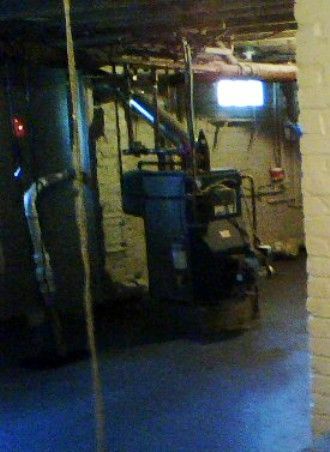 Our 275-gallon tank is in the basement and often when I open the basement door, I get a whiff of #2 heating oil. Not pleasant. 7) Heating oil is dirty. 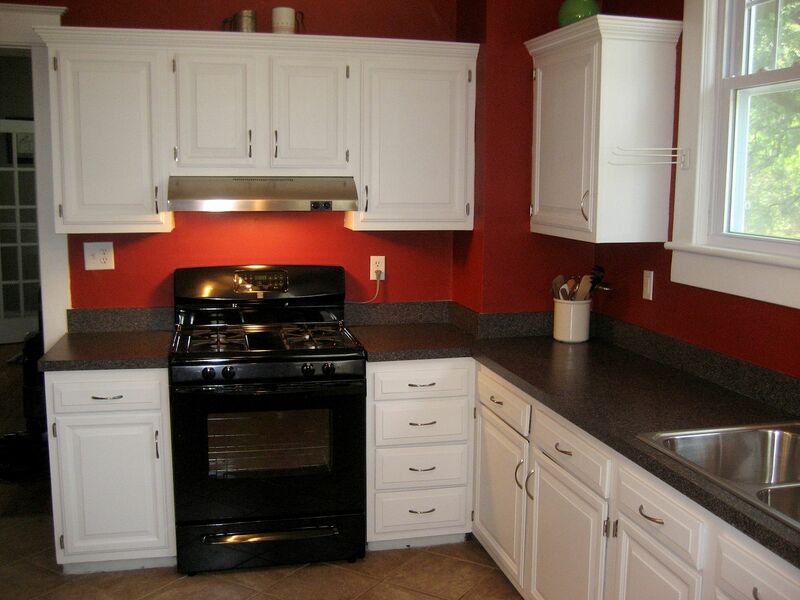 It’s recommended that oil-fired appliances (furnaces and boilers) be cleaned once each year. Cost: $150 or more. 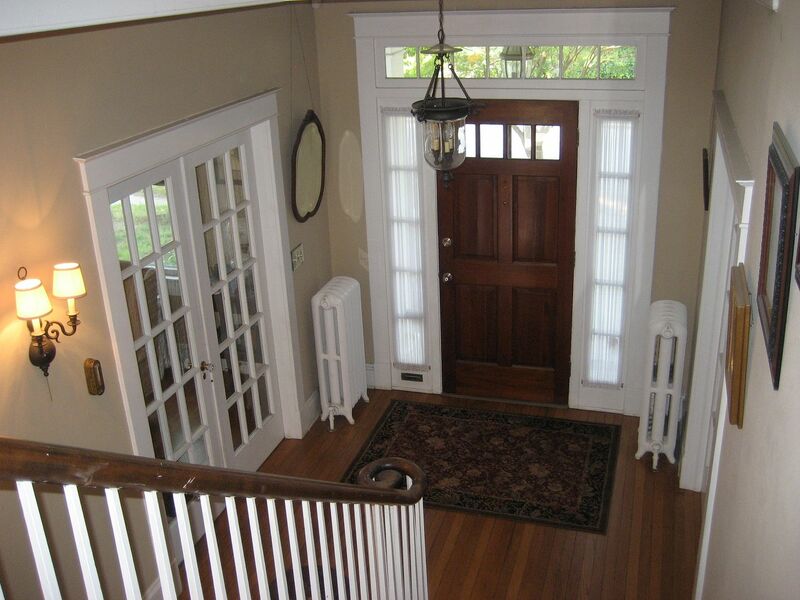 The benefits of a heat pump were simple: It’d give us the chance to add central air. 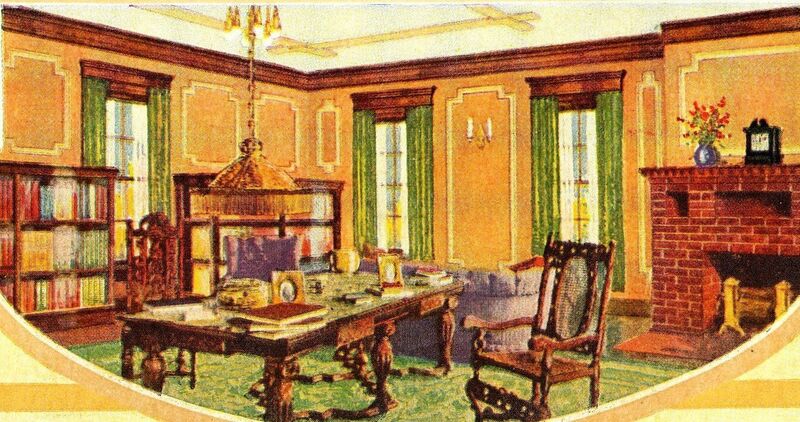 We had a central air system for the upstairs, but wouldn’t it be dreamy to have it on the first floor, too? The central air unit on the second floor had been oversized (by my request), with a major trunk line and vent directly over the top of our large, open staircase. 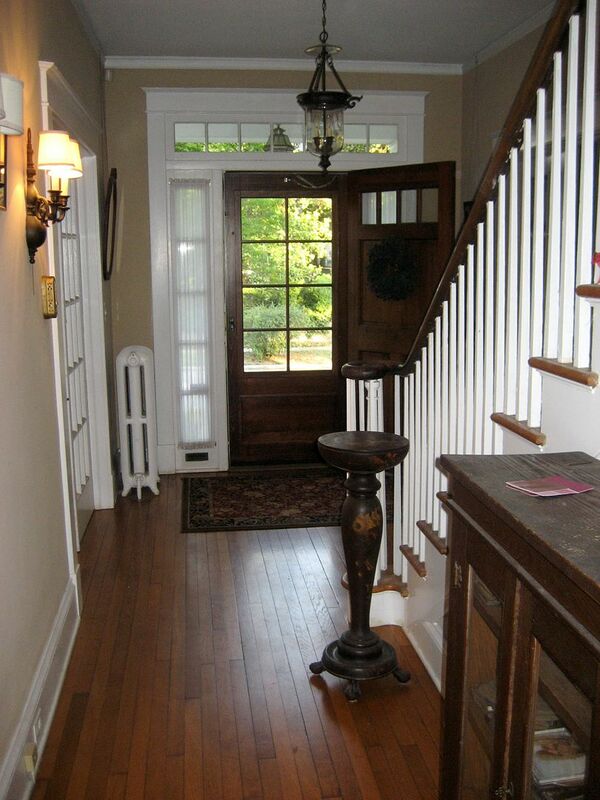 In the summertime,when the A/C was running, great wafts of deliciously cool air came galloping down the stairs. 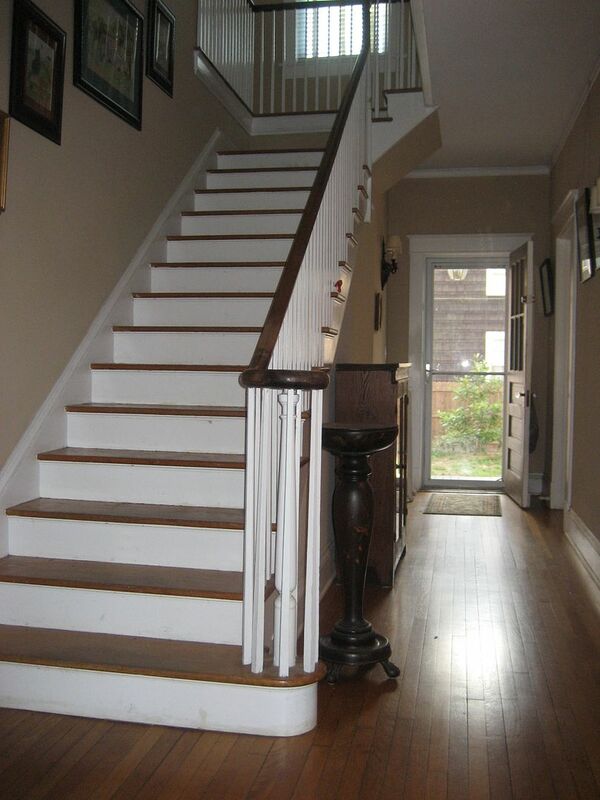 Due to design of the staircase, probably 50% of the cold air ended up on the first floor. 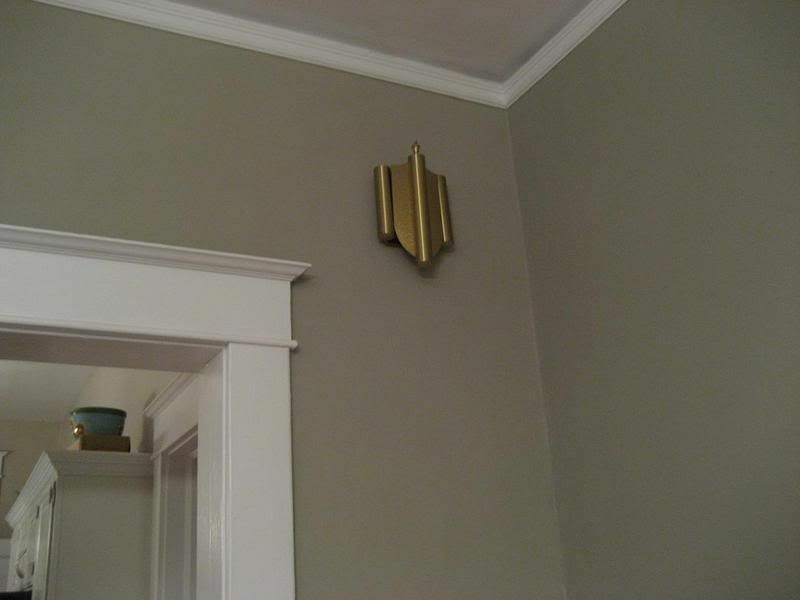 I’d also positioned the return in such a way that it’d naturally draft the hot air from the first floor. 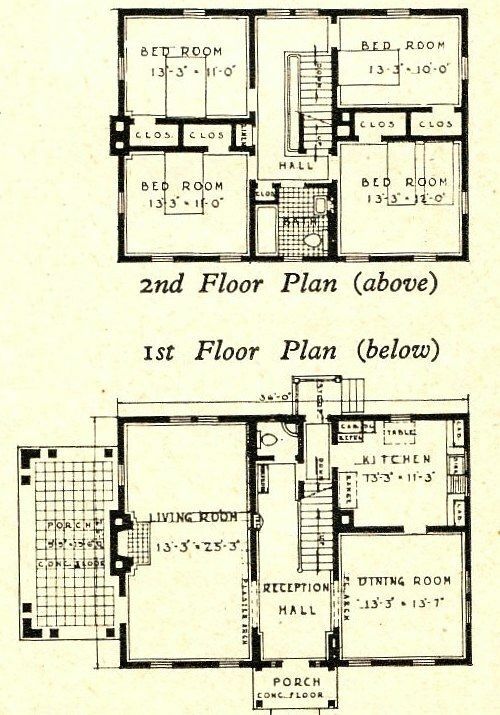 In other words, the 3-ton unit for the second floor effectively cooled much of the first floor. Secondly, adding all new ductwork for the first floor heat pump (and A/C) would have made our basement well-nigh unusable. With no garage at our home, we rely heavily on the basement for storage. And I like having a big basement. 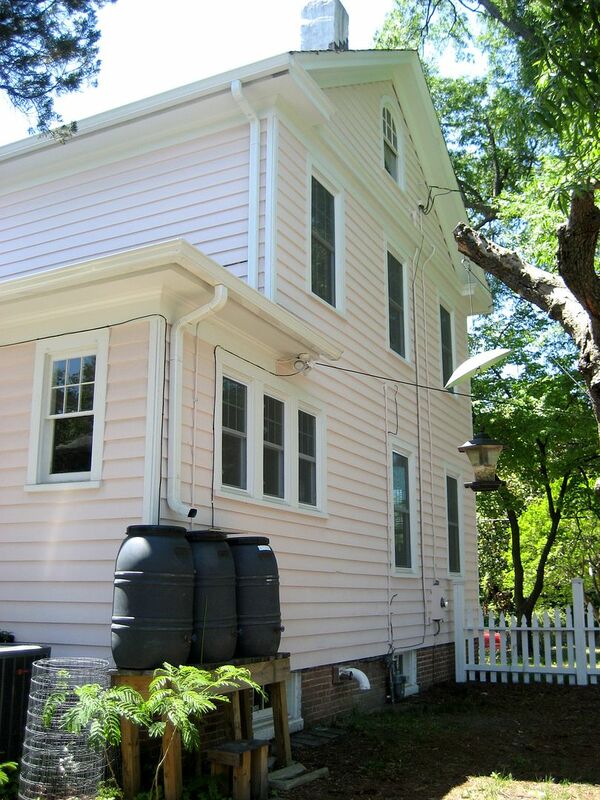 The lower end gas boilers were $3,000 and up (for 80% efficiency), but would require that we’d re-line the old chimney. That’d add another $2000 to our costs, so we were at $5000. For $7,500, we could get a super-high efficiency gas-fired boiler, rated at 94% efficient, which used a pvc snorkel, and abandon the old chimney, and get our heating bills down under $200 a month. And, we’d get a $500 rebate from our local gas company, making the price difference between the two options a scant $2,000 (or the cost of 100 days of fuel oil). Next, Virginia Natural Gas had to drive us nuts. They would not set a meter for us until the boiler was in place. That’s funny, because the contractor didn’t want to set up the new boiler until we had a meter in place. Friday evening, we got an automated call from Virginia Natural Gas. It said that our meter would be set on Saturday morning, between 1:15 am and 1:15 am, and that we were to make sure someone would be home at that time. The new unit is wall hung, and is much smaller. 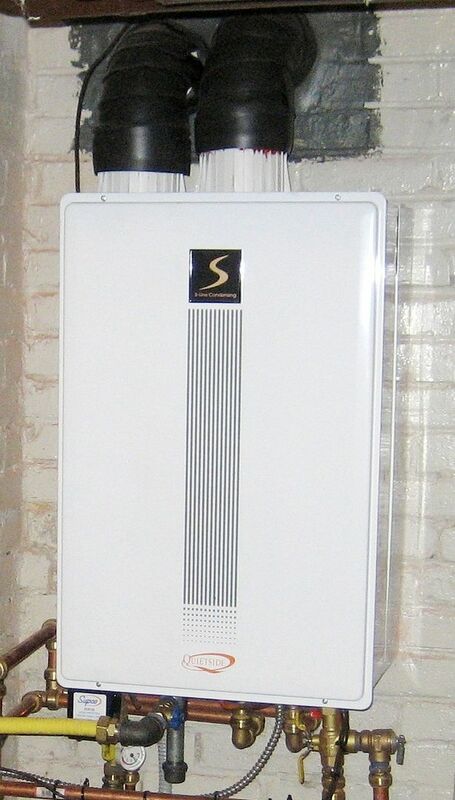 It is a tankless boiler, and water is heated as it passes through the boiler. Notice the unpainted square on the basement floor, where the old boiler once sat. Another view of the new equipment. 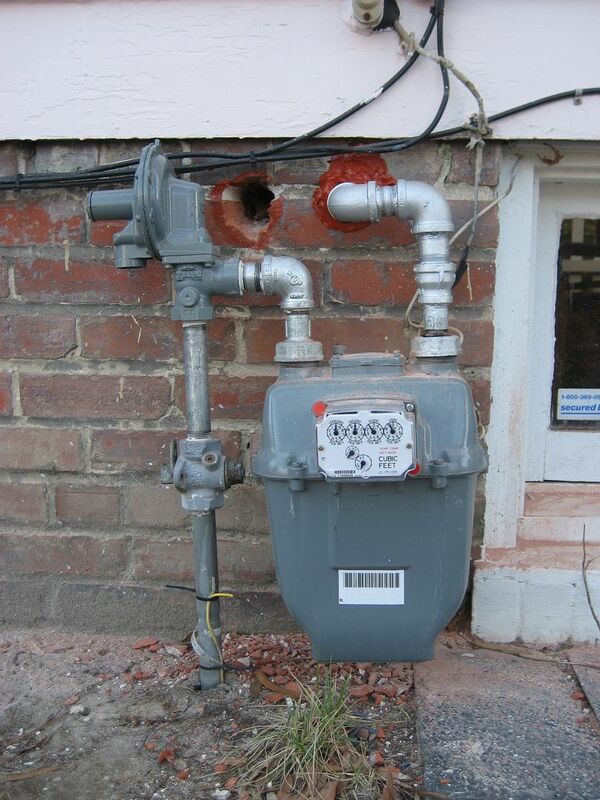 I wasn't thrilled with how the gas meter business turned out. Notice, the house had some hemorrhaging here as well. The hole on the left was the contractor-created hole for the natural gas piping. They used a bright-yellow 1" line and it was not attractive. Monday morning, the contractor agreed to remove the misplaced yellow line and replace it with black-iron pipe, in the hole to the right. You can see (from this picture), how awkward the placement of that left-side hole is. The yellow gas line continues just inside the house. 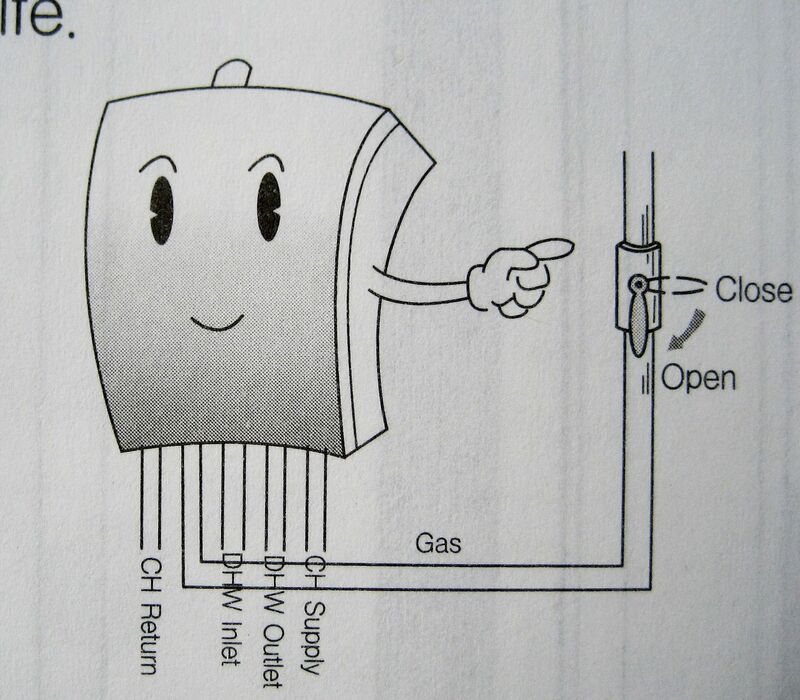 Instructional literature that came with the unit shows that the tankless boiler is a happy little thing.